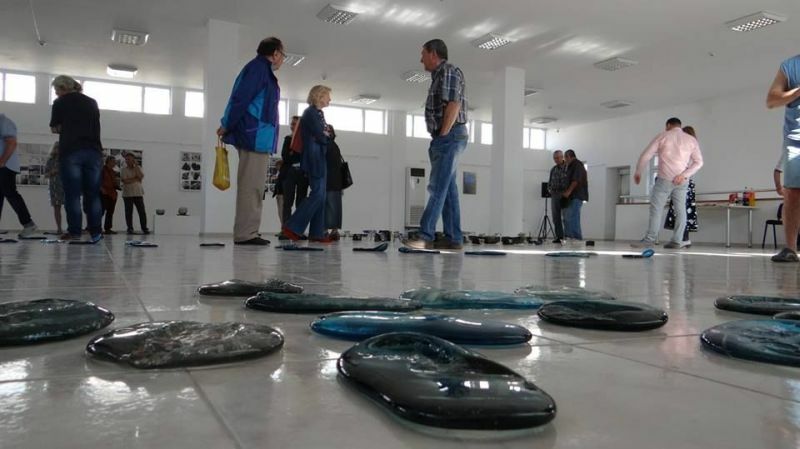 International Biennial of Glass – Bulgaria, October 3rd 2017. 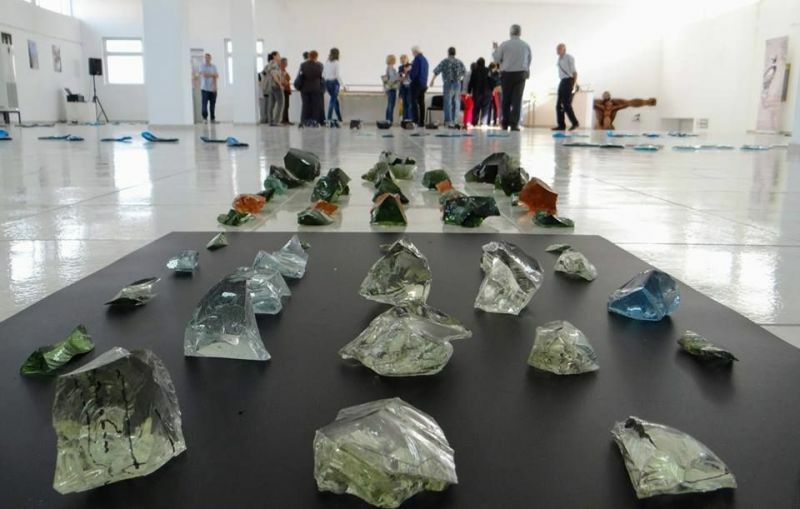 During the International Biennial of Glass – Bulgaria (October 3rd 2017), Professor Dan Popovici and Assistant Professor Ioana Stelea presented the Time Maps Project. 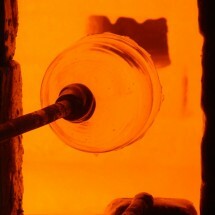 Glass Flight. 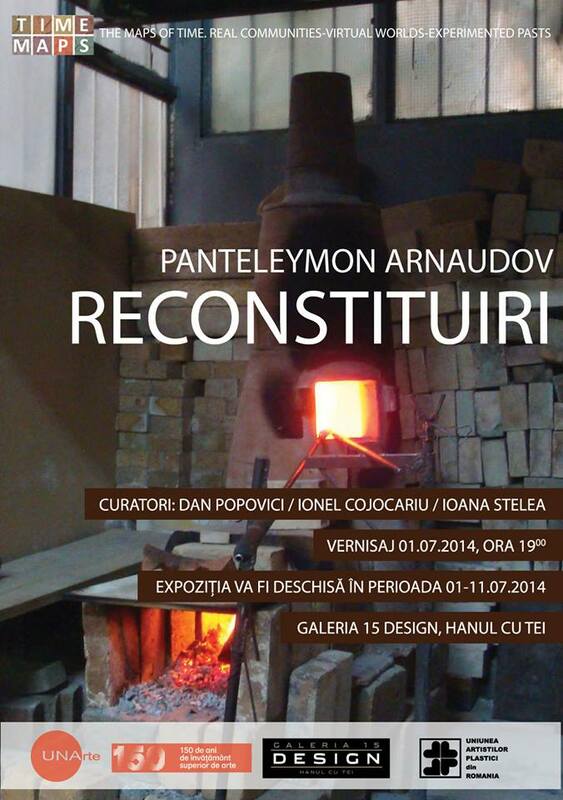 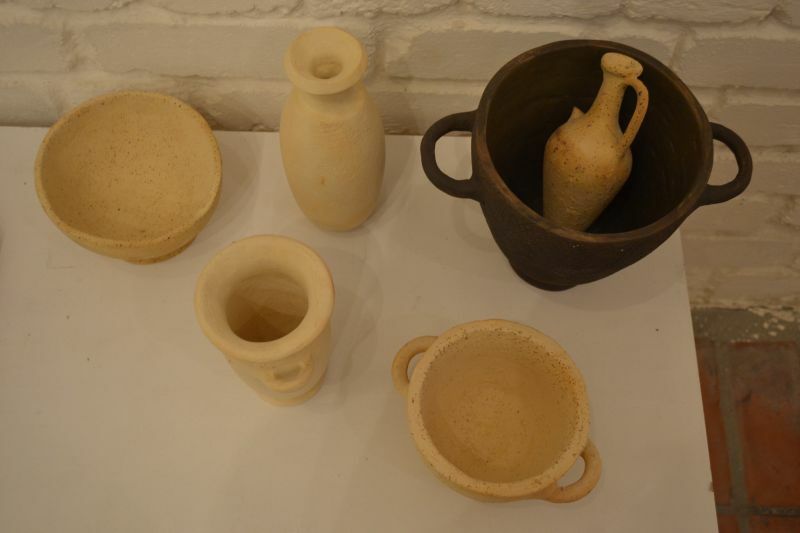 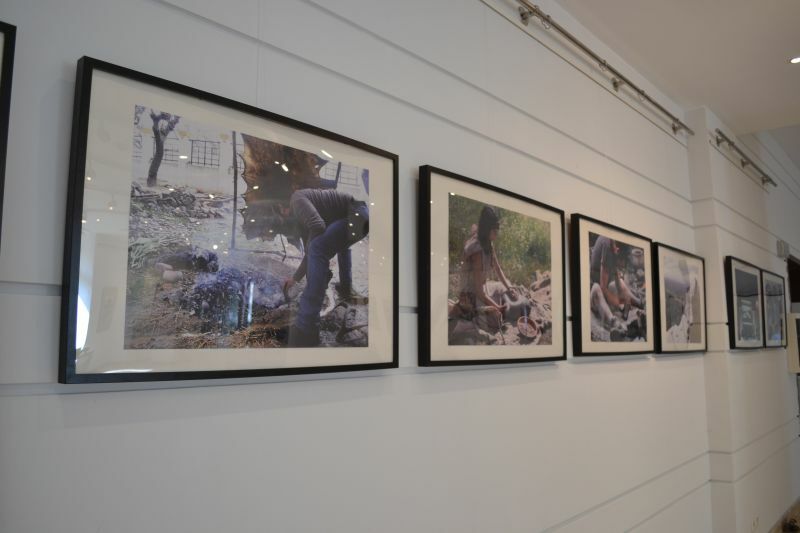 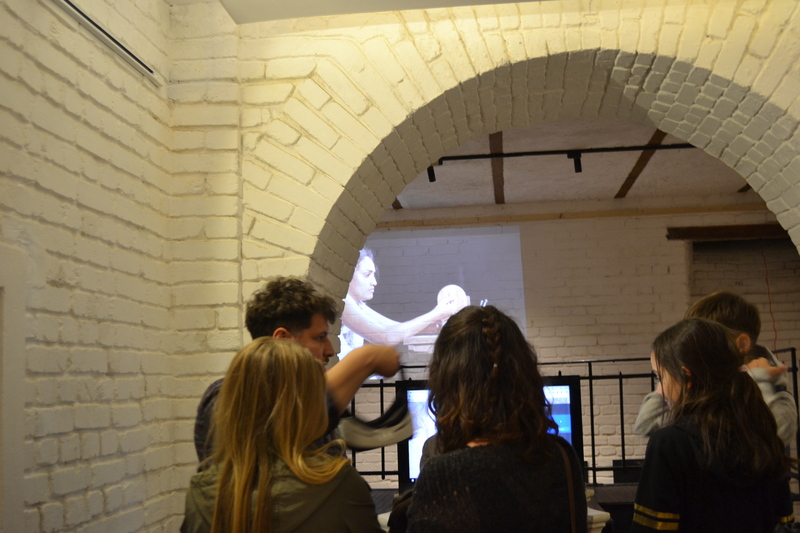 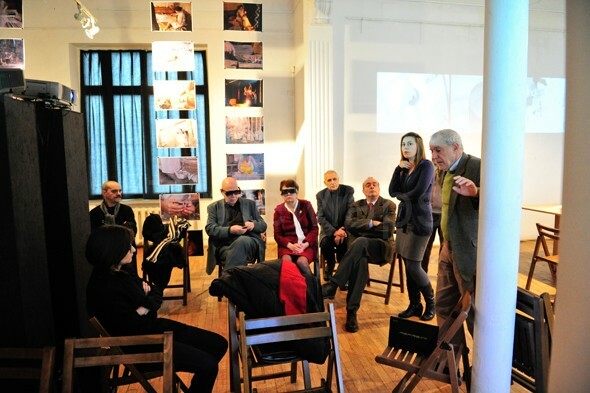 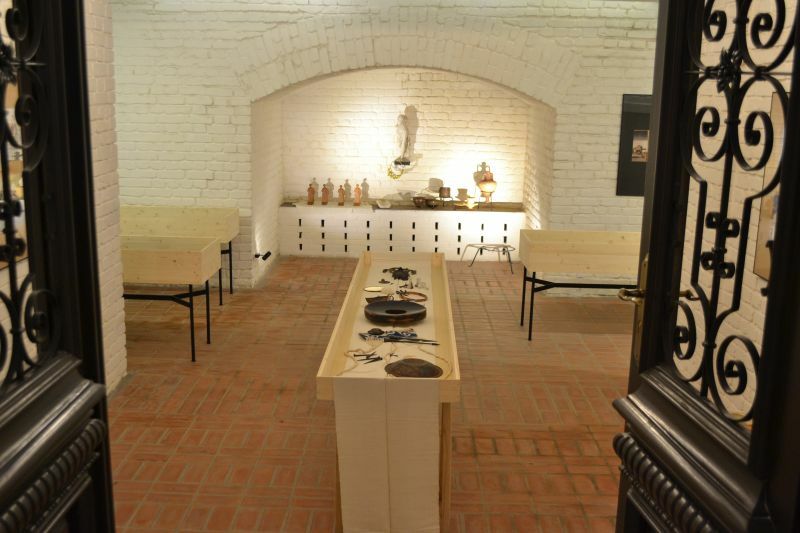 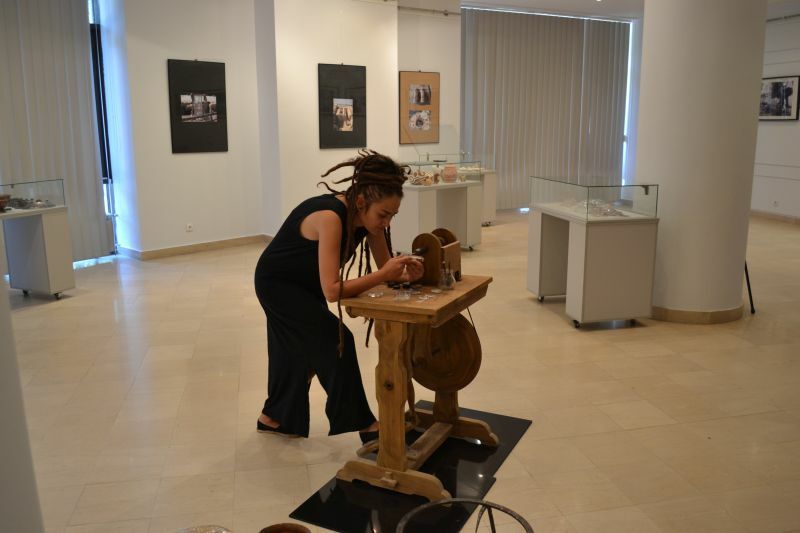 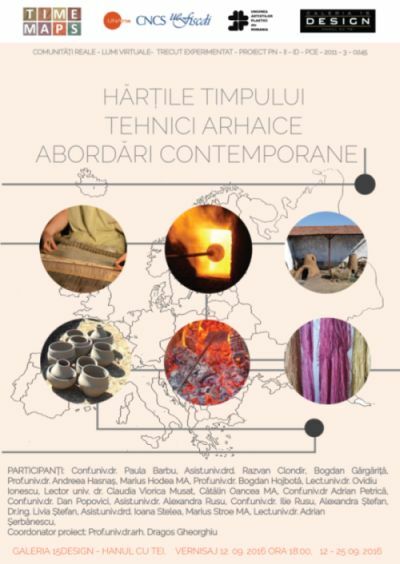 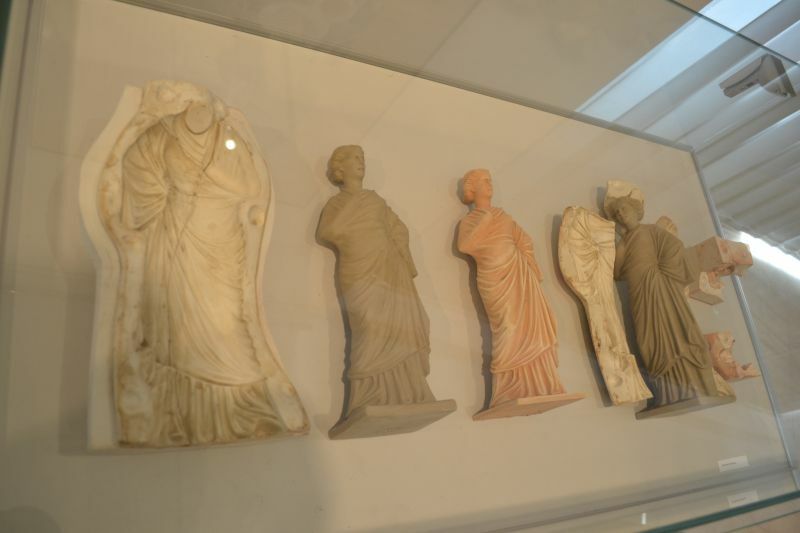 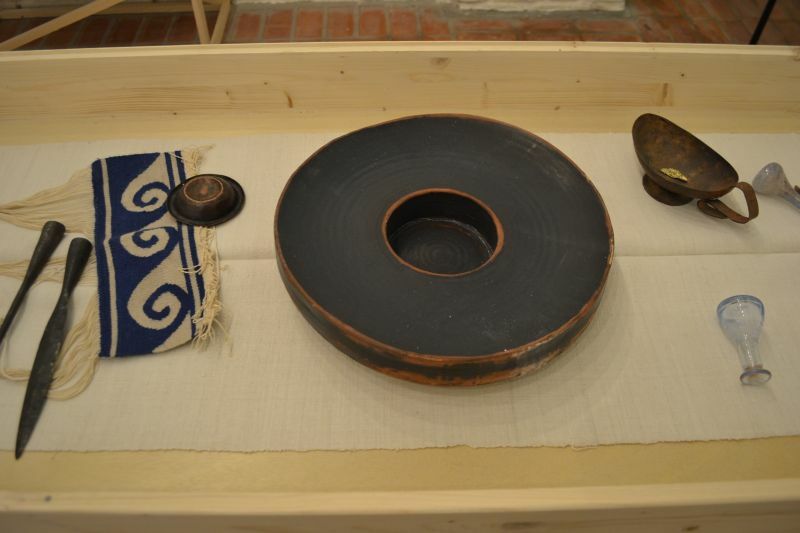 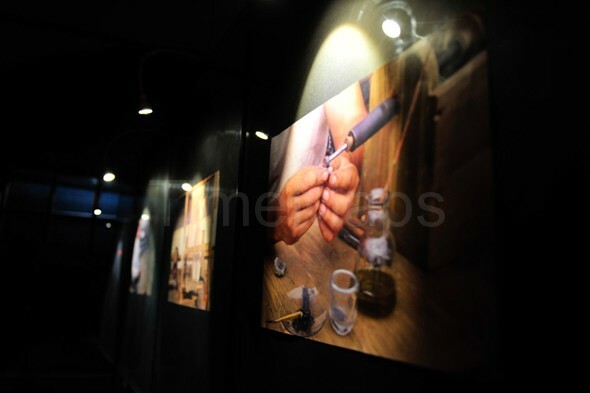 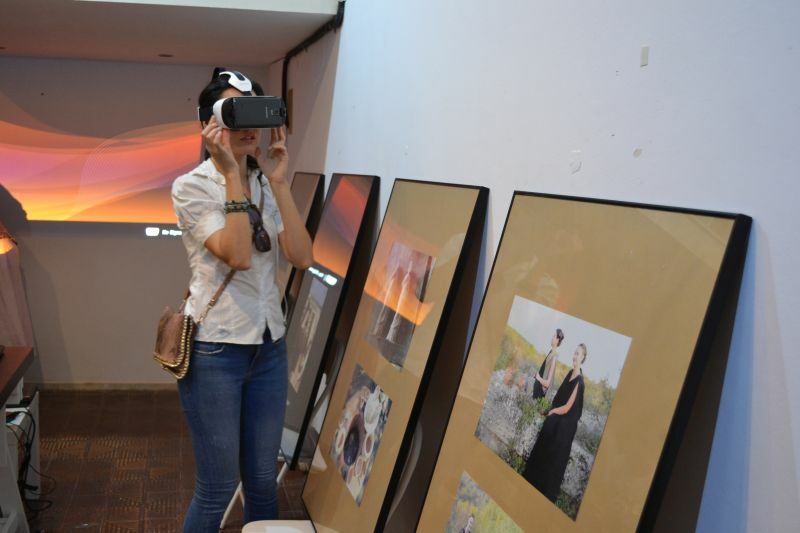 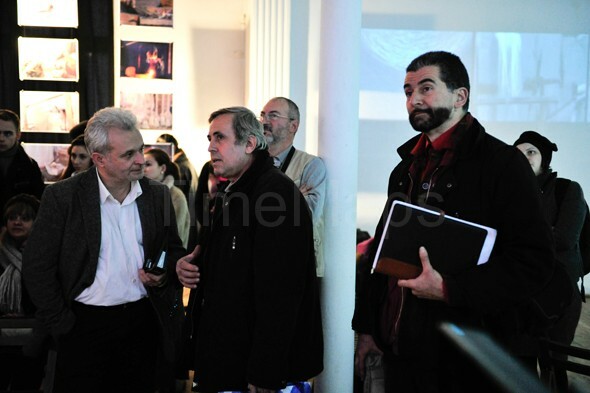 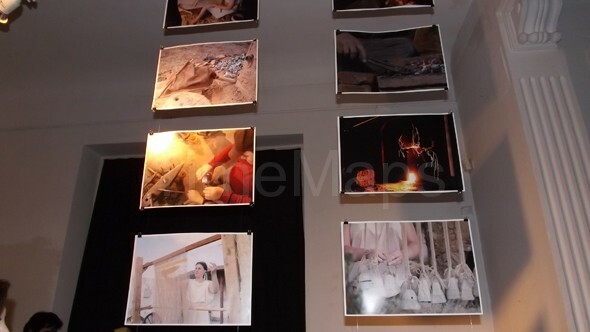 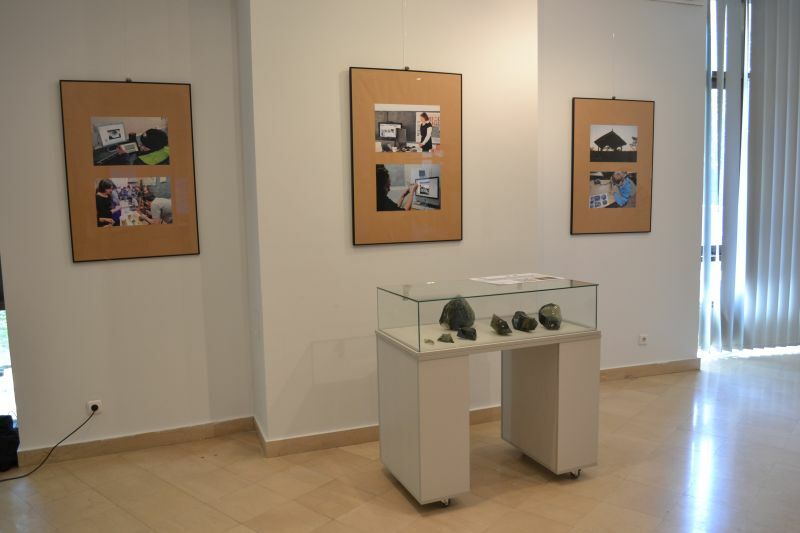 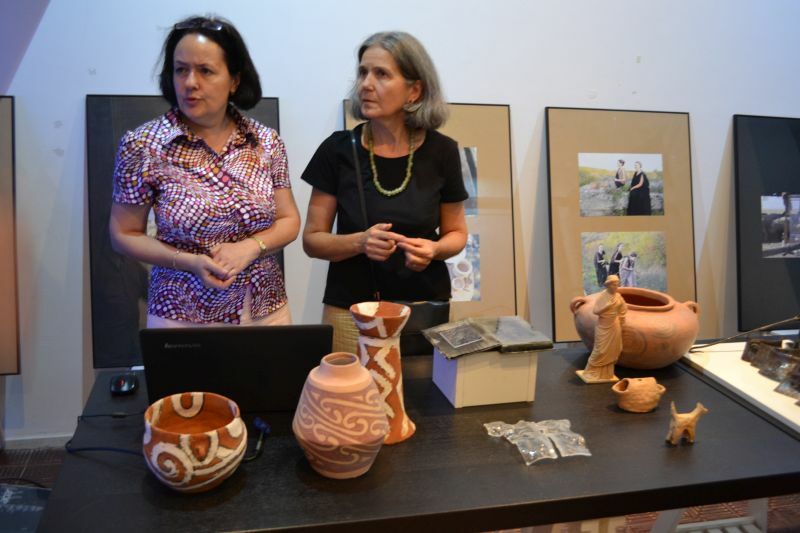 Exhibition at the Veliko Tarnovo University. 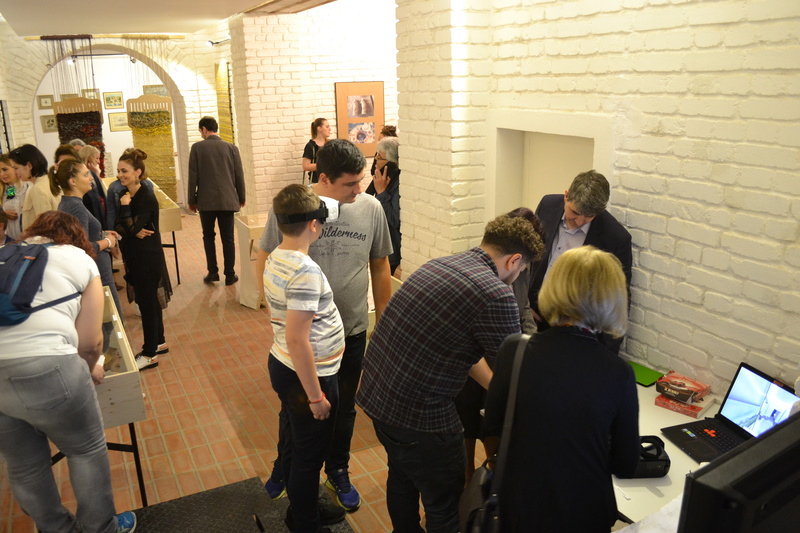 Dan Popovici, Ioana Stelea, Stefan Szabo, Ana Bradu. 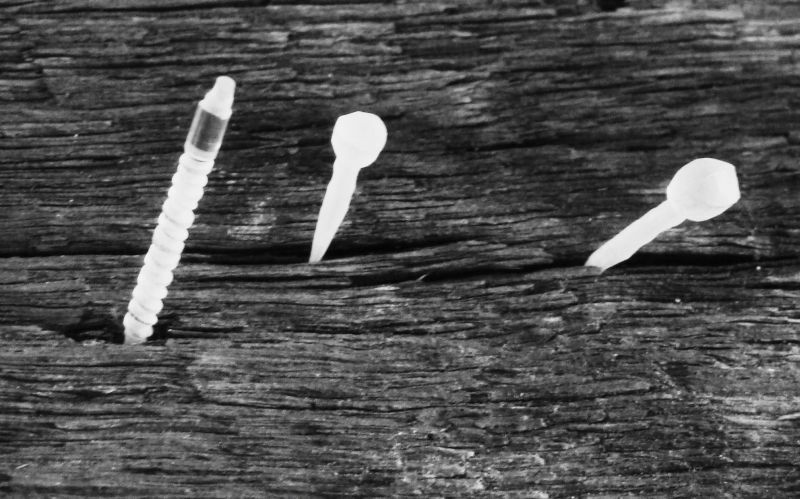 November 23, 2017. 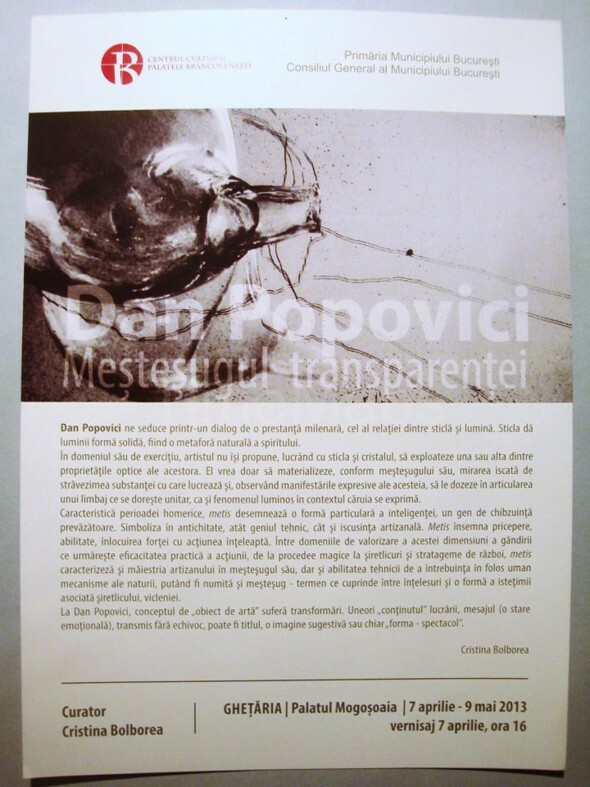 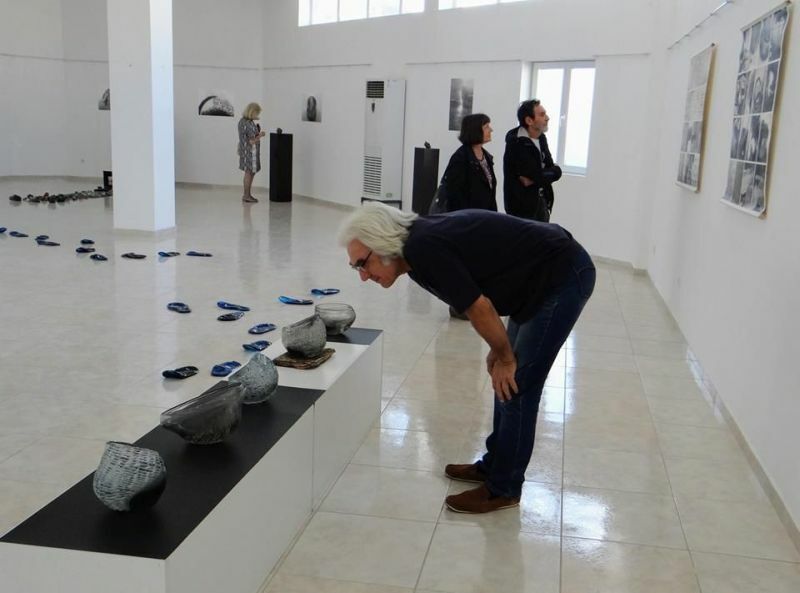 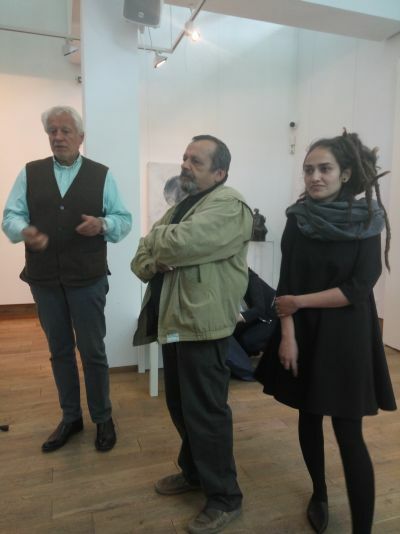 Professor Dan Popovici opened a solo art exhibition with his latest works, at Hristo Tzokev Gallery, Bulgaria, June 24. 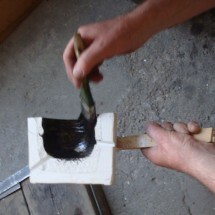 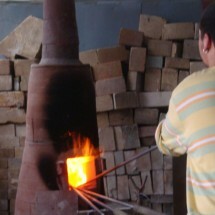 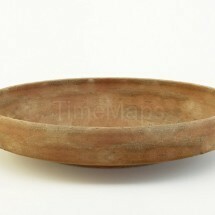 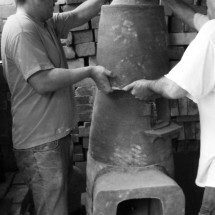 Associate Professor Dan Popovici attended on 9-13 April the Romanian-Turkish pottery workshop on the topic of “The woman akimbo / Eli Belinda, common cultural values”, organized in Istanbul by the Romanian Cultural Institute in collaboration with the University of Istanbul and the National University of Arts of Bucharest. 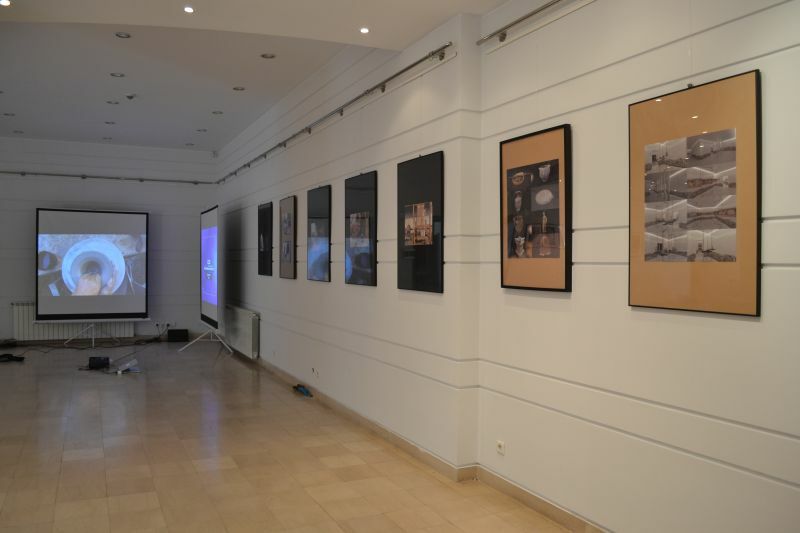 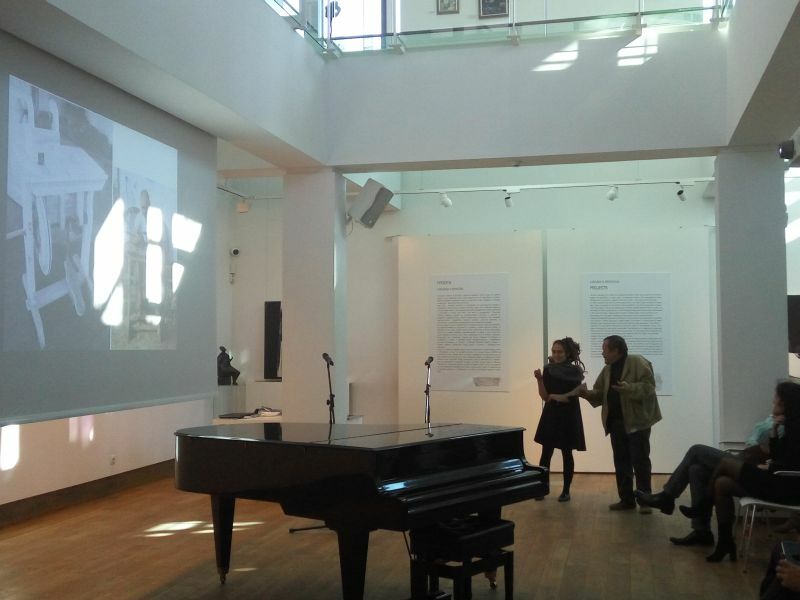 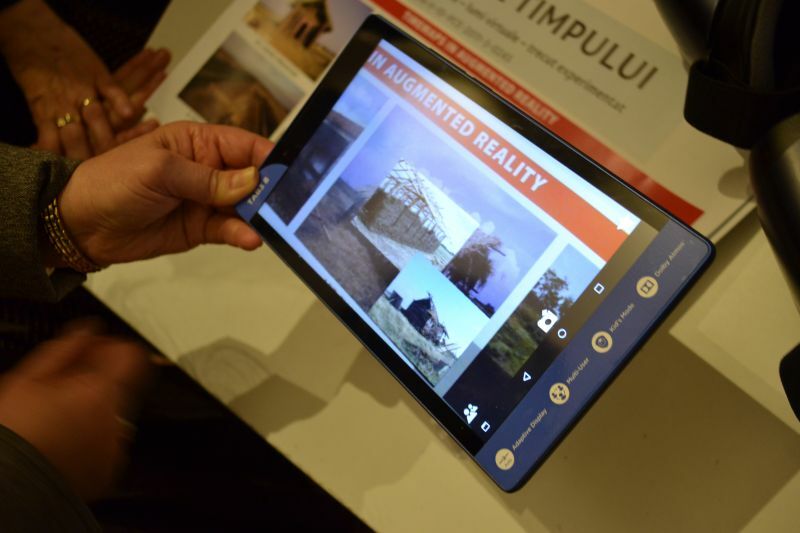 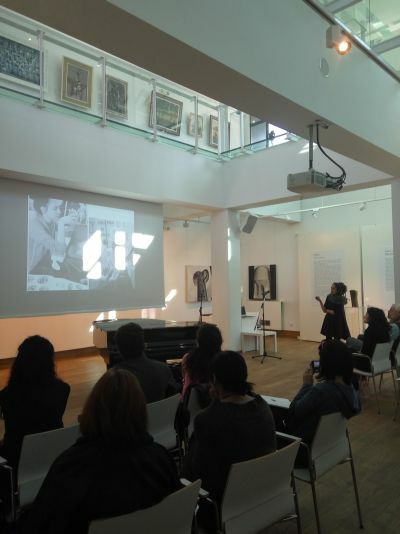 The objective of the creation camp was the realization by 20 Romanian and Turkish artists and students of a composition made up of 100 individual panels, each reflecting the vision of authors on the topic. 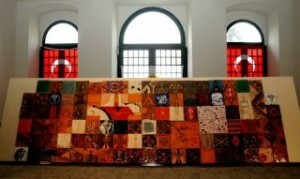 The final panel was exposed with a ceremony inside the University of Istanbul and will be exposed in the public space of the city. 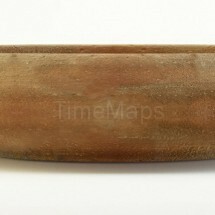 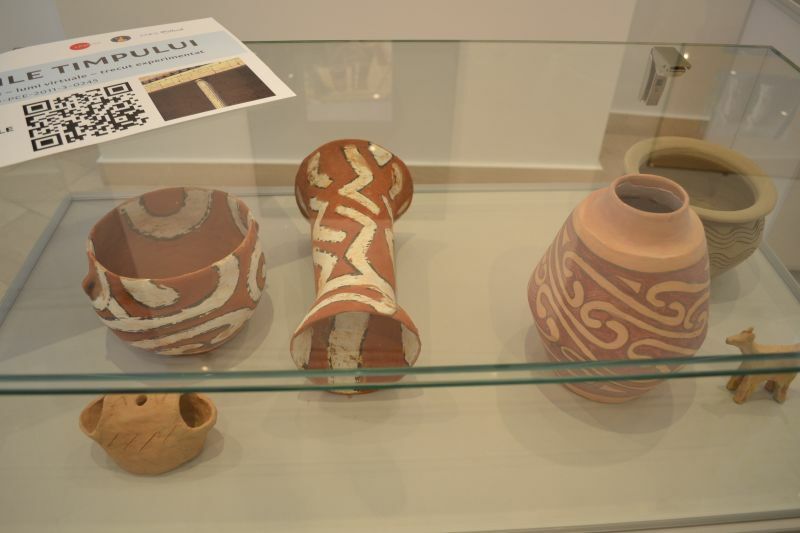 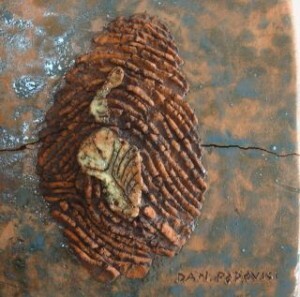 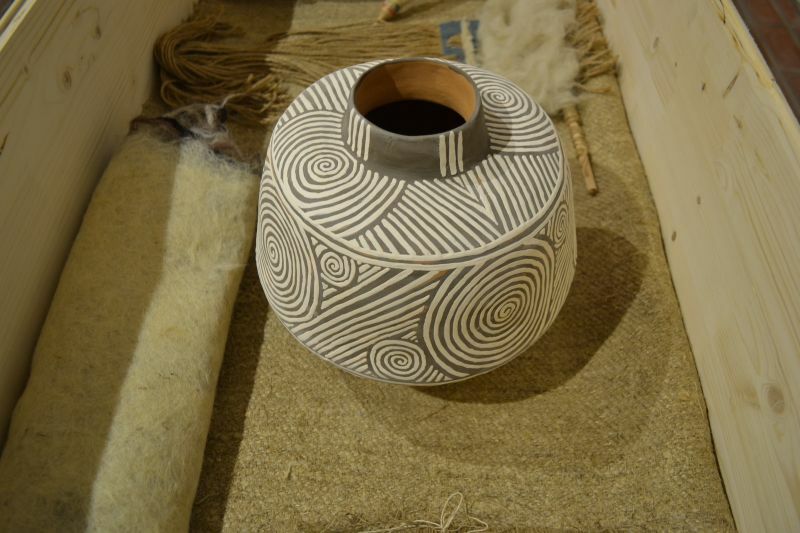 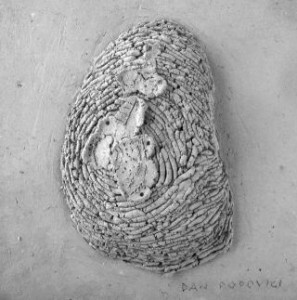 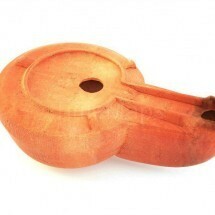 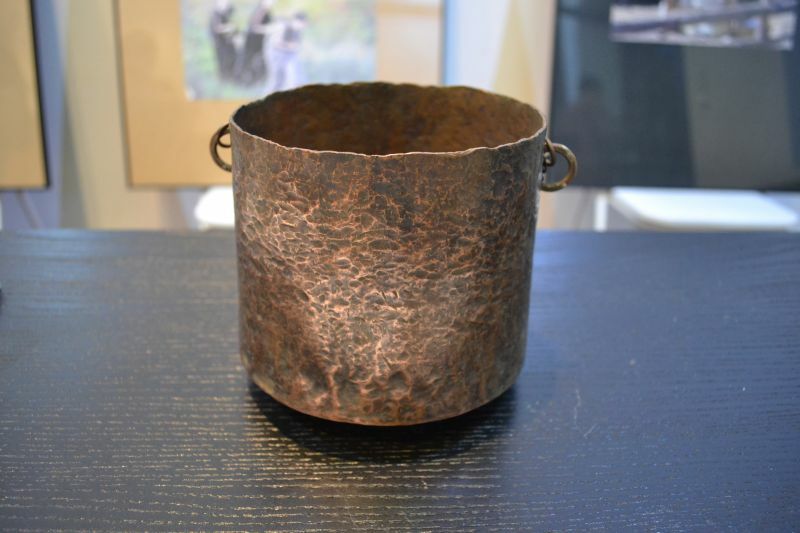 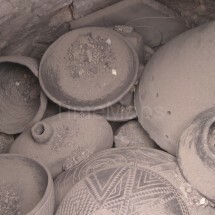 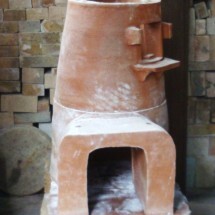 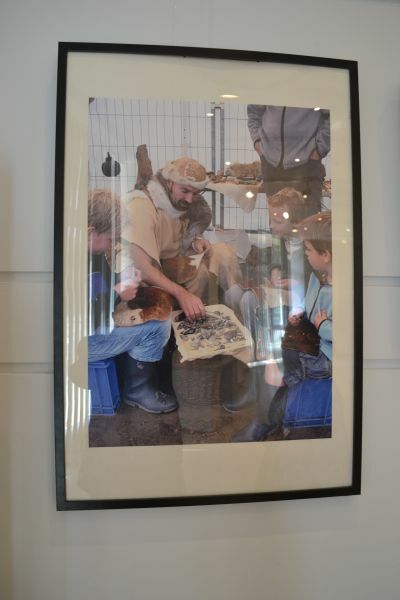 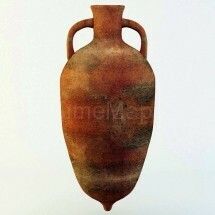 Dan Popovici’s work develops the theme of impressions with suggestions of the figurative representations of the Cucuteni Neolithic culture, similar to those from the Anatolian plateau. 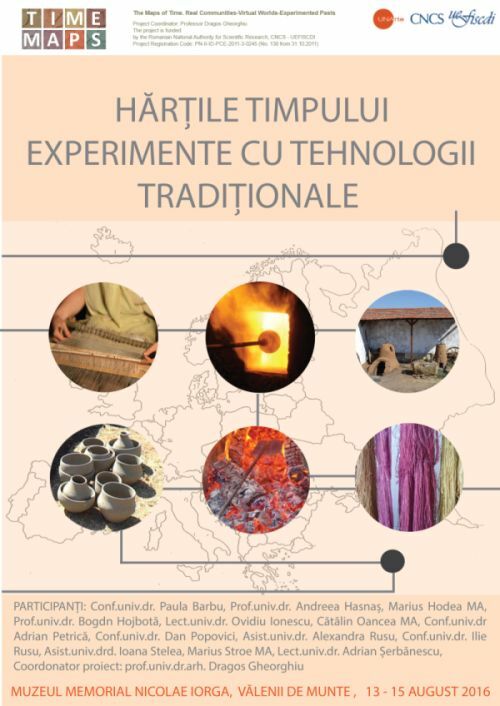 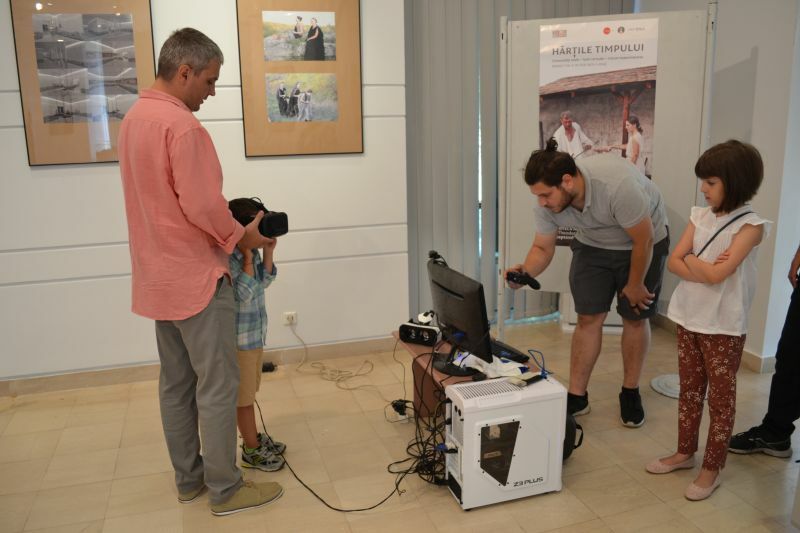 One exhibition with the work of the research team in Vadastra was organized by Dr. Giusi Gradoli at the Municipality of Belvi. 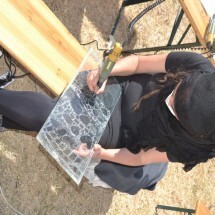 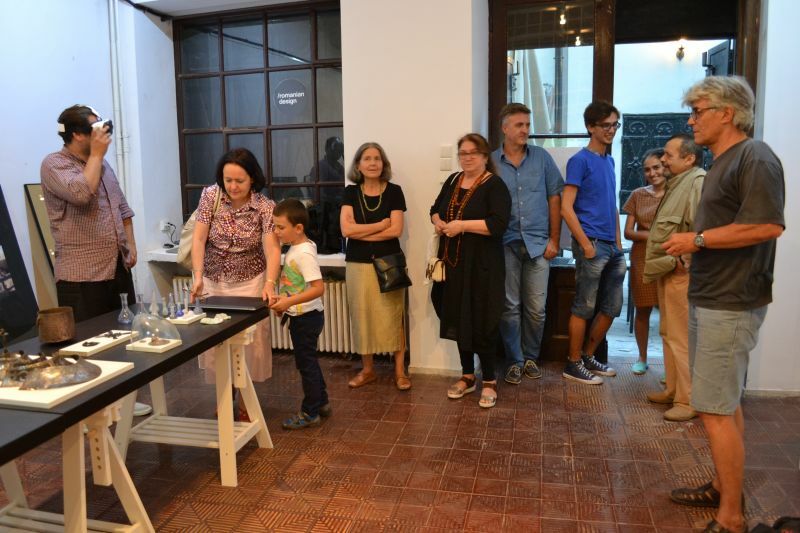 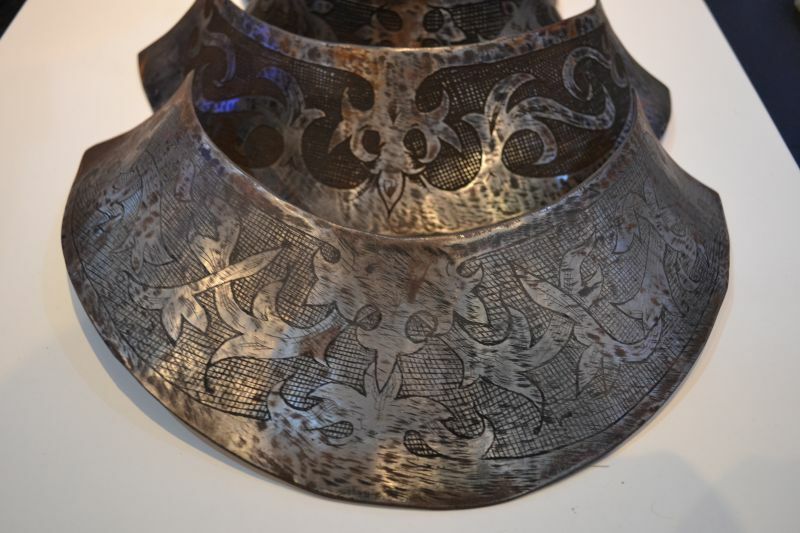 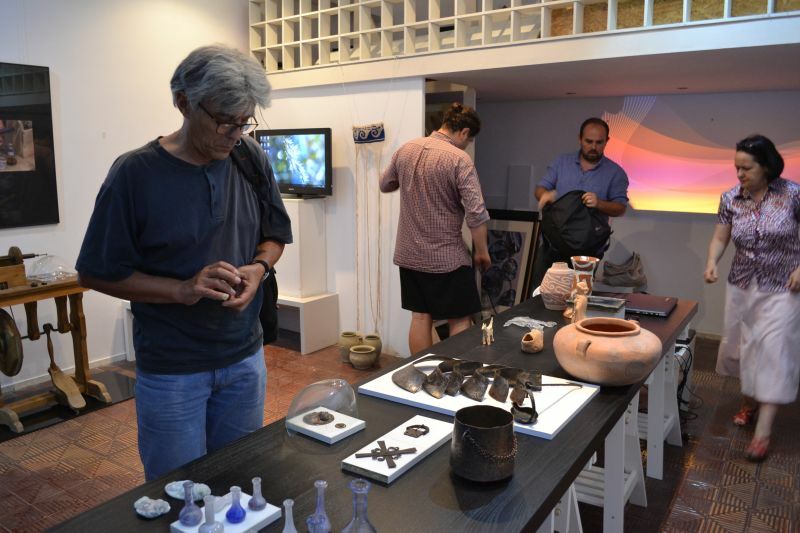 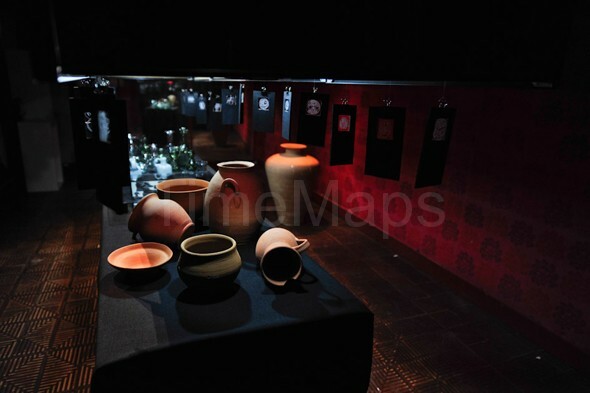 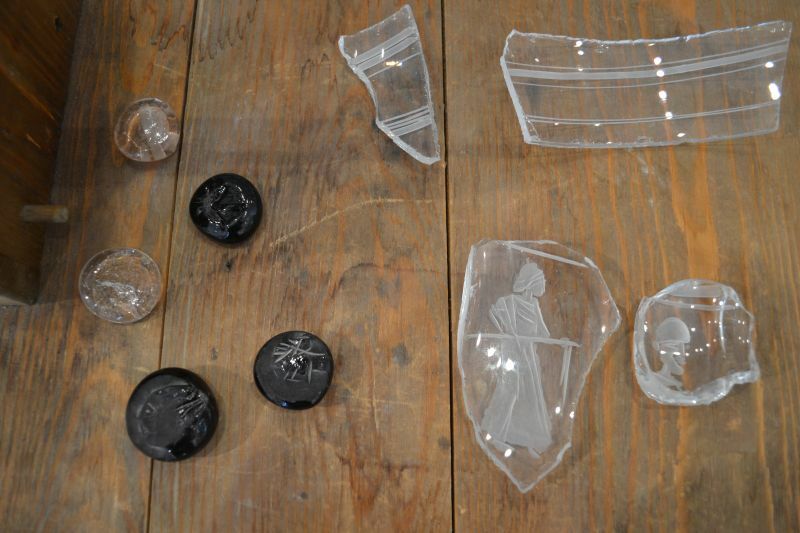 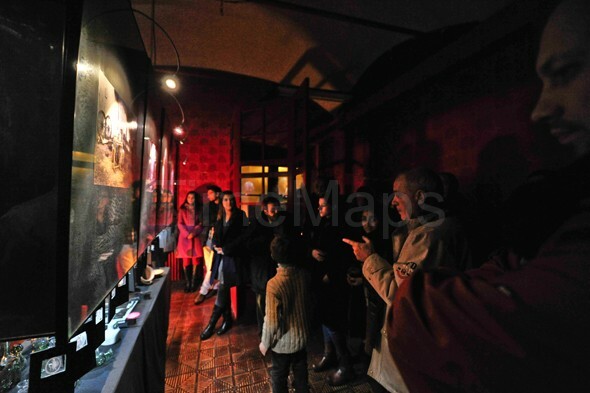 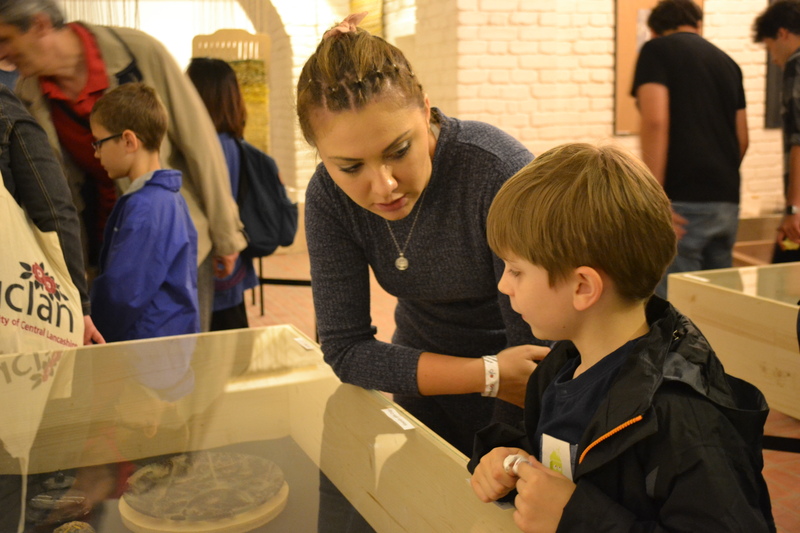 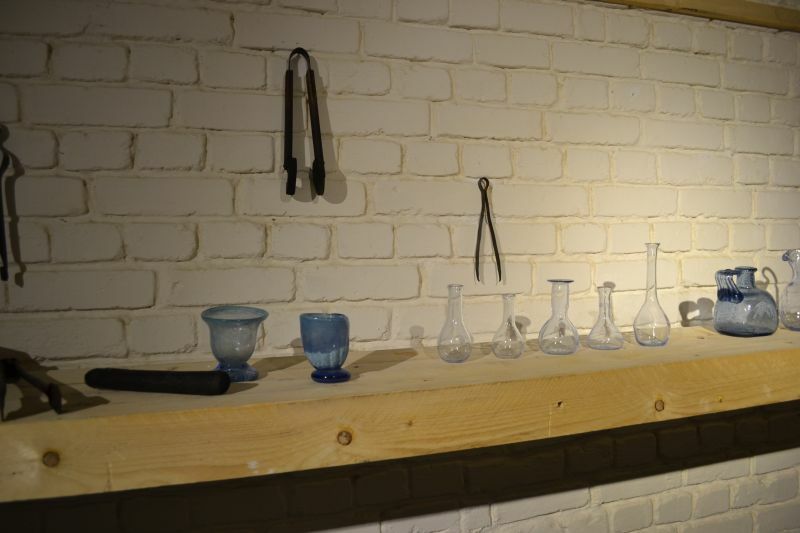 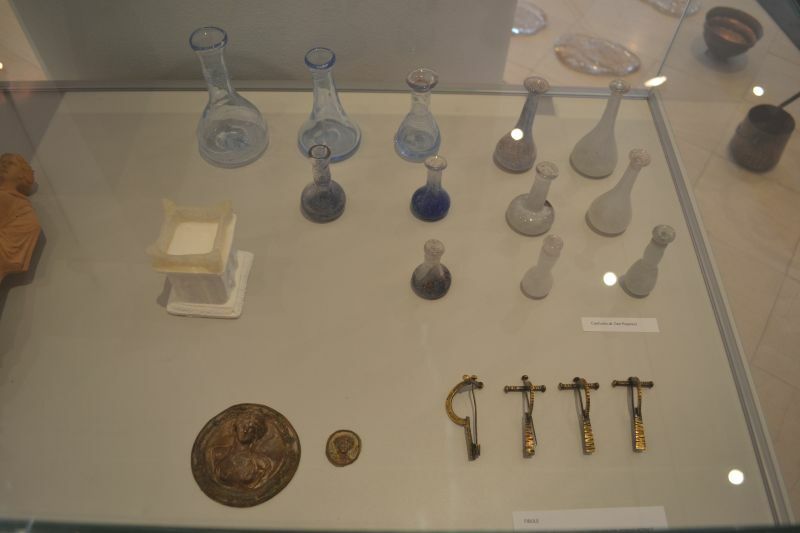 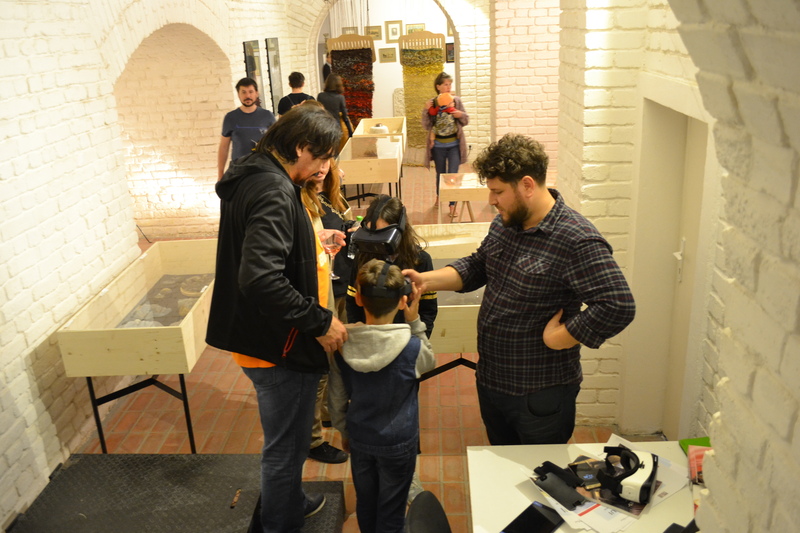 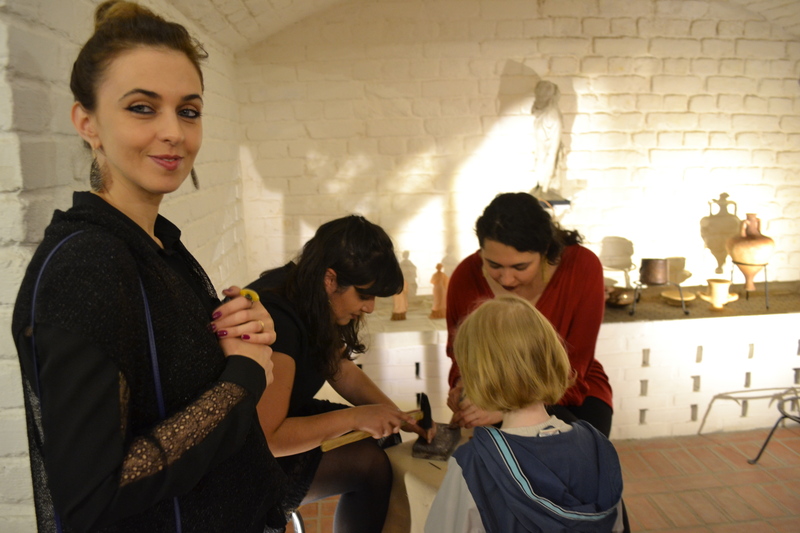 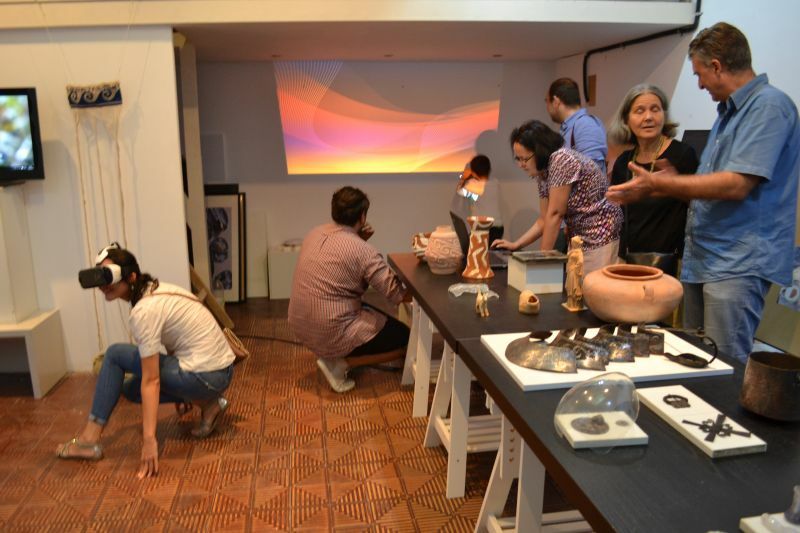 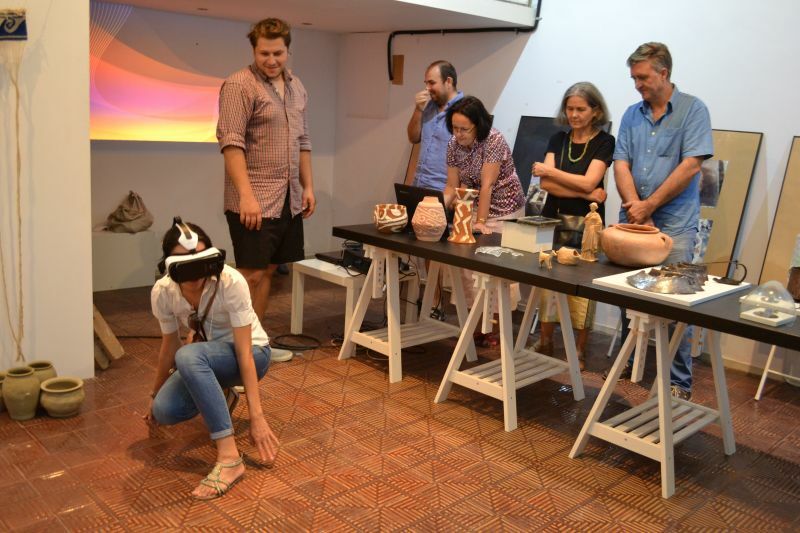 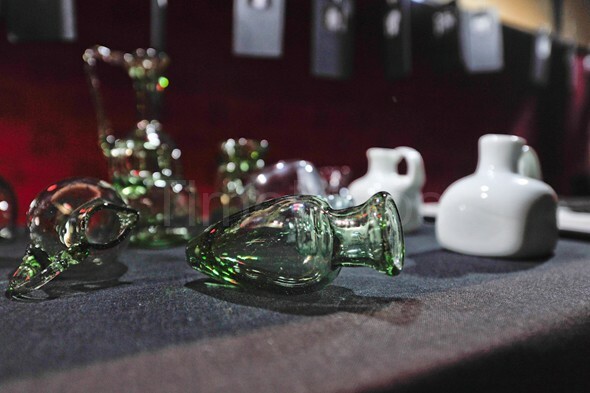 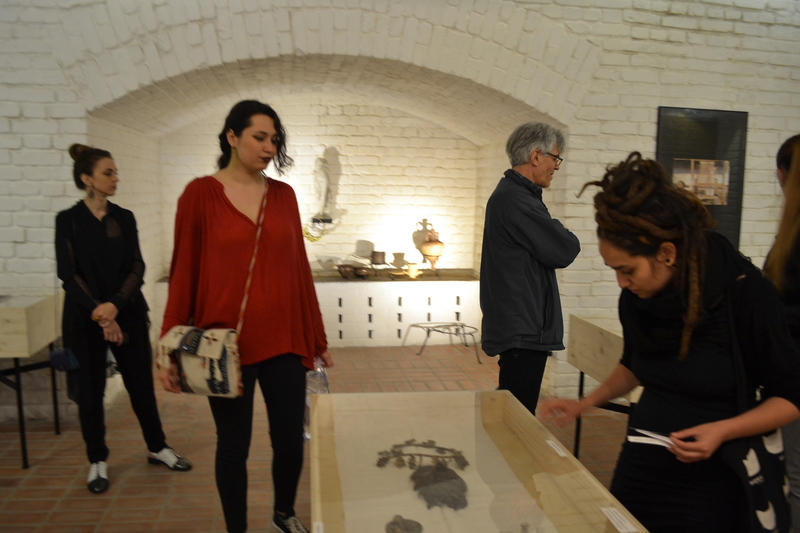 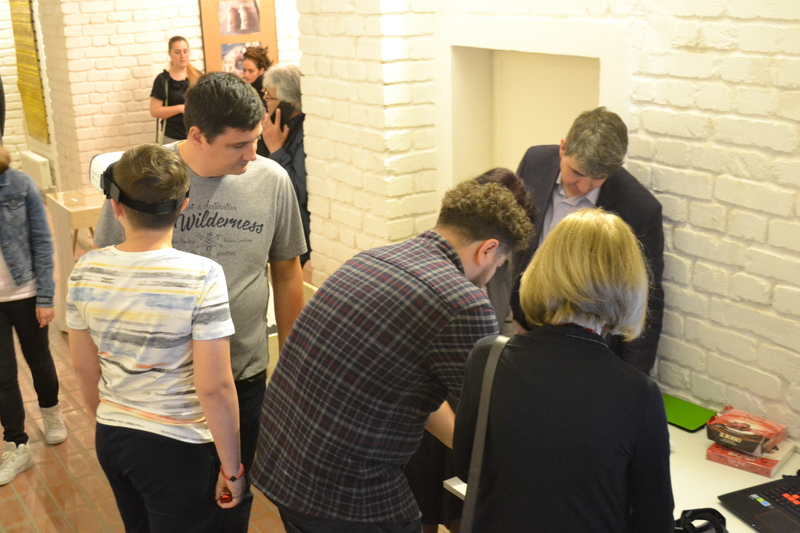 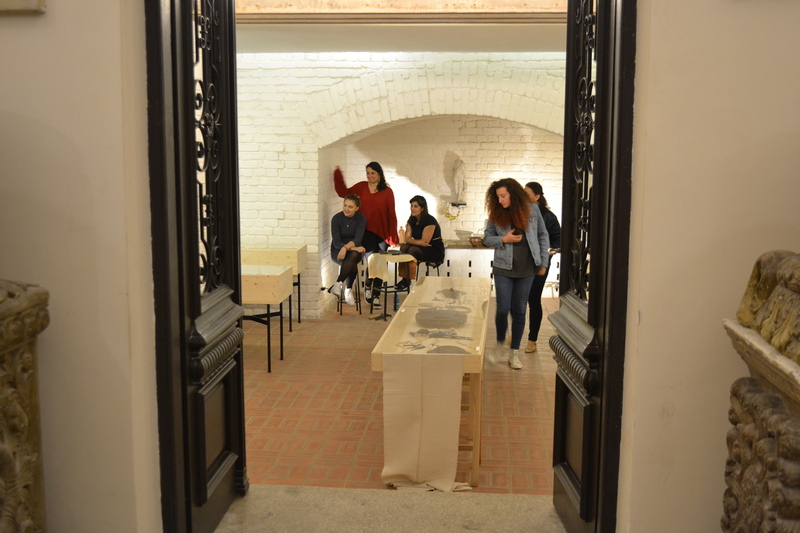 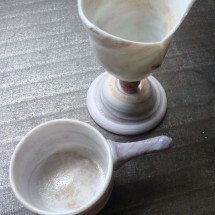 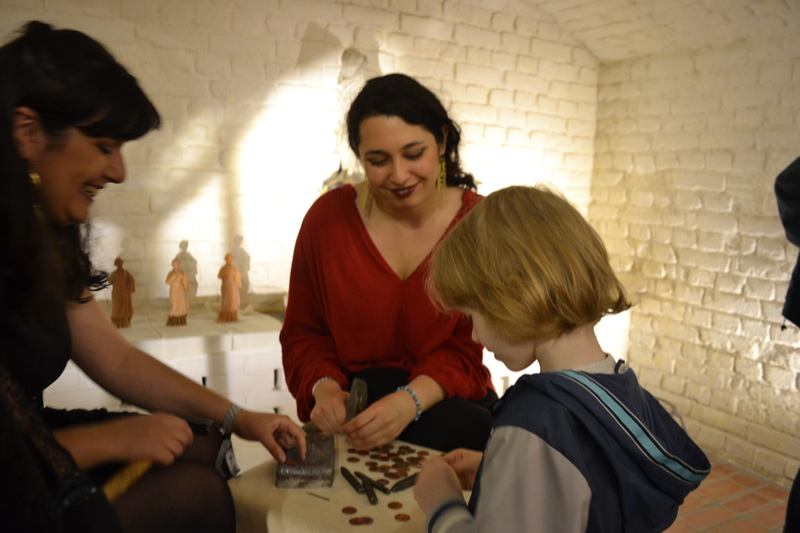 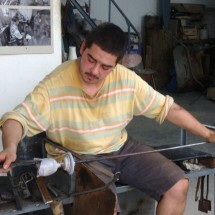 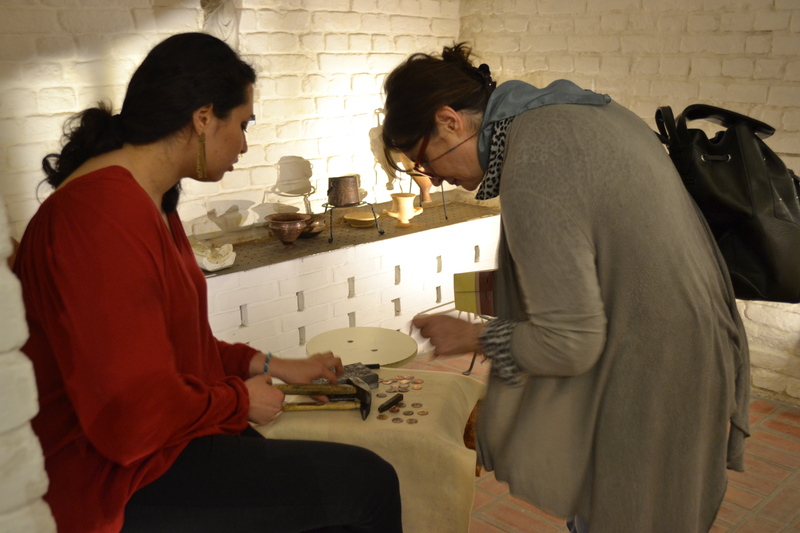 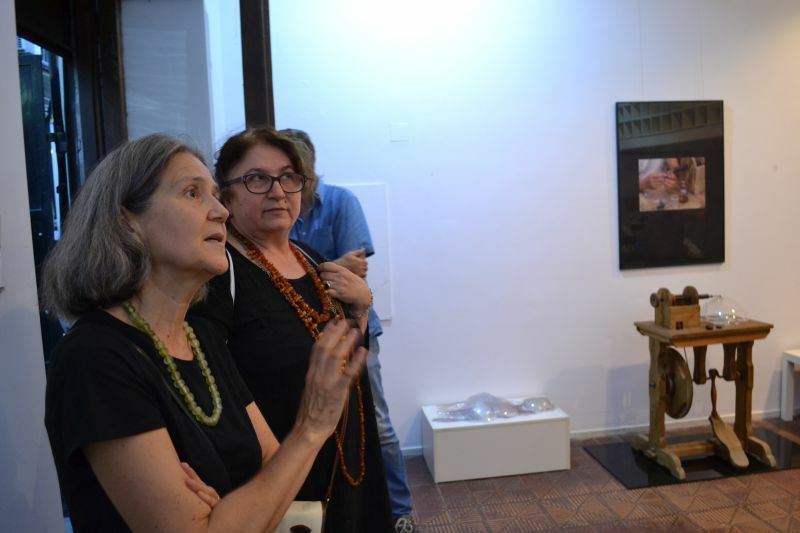 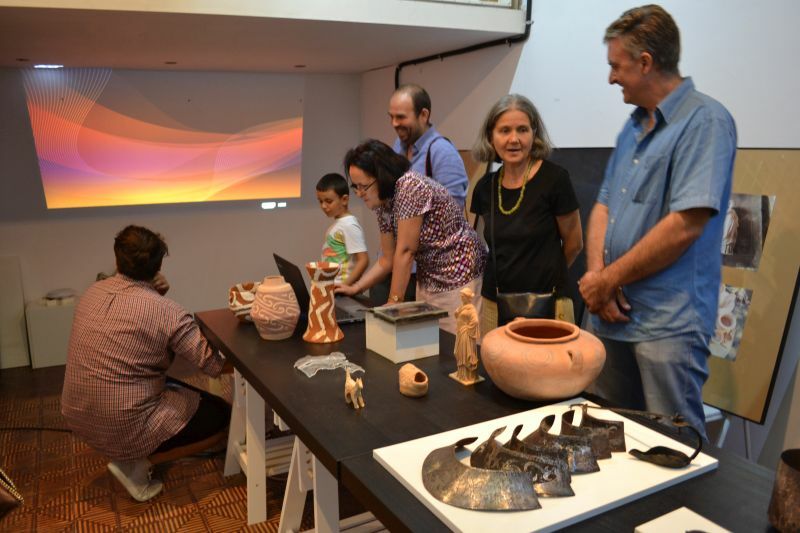 At the Callatis Museum Associate Professor Dan Popovici and PhD student Ioana Stelea organized an exhibition of engraved glass with antique patterns. 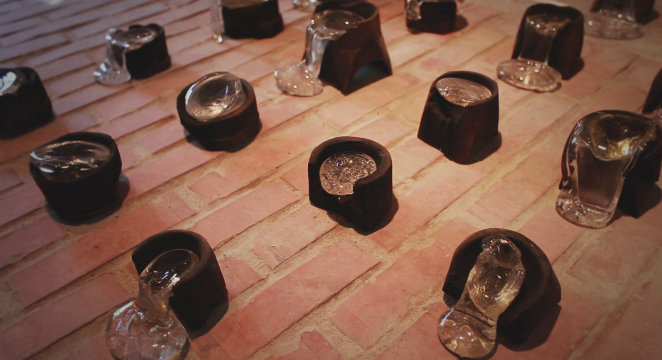 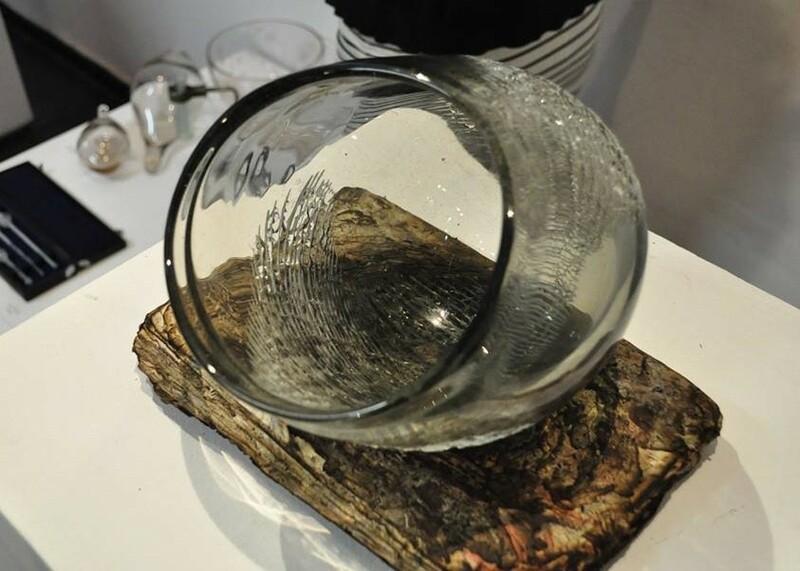 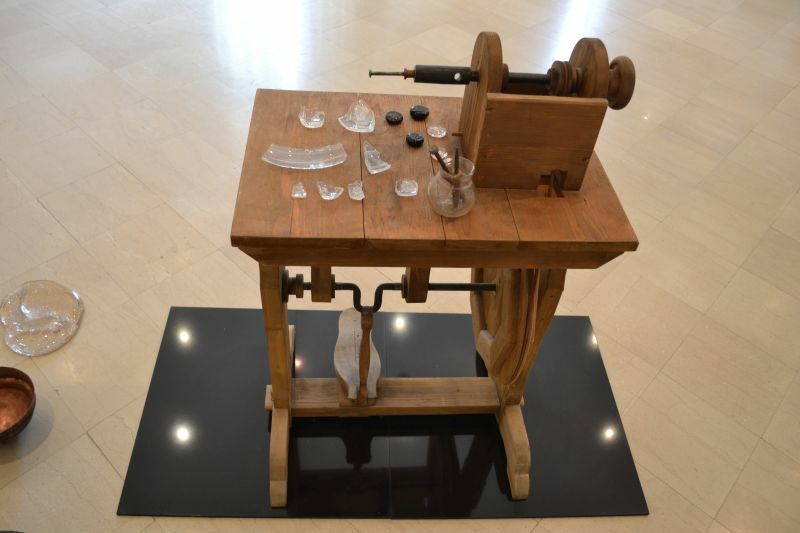 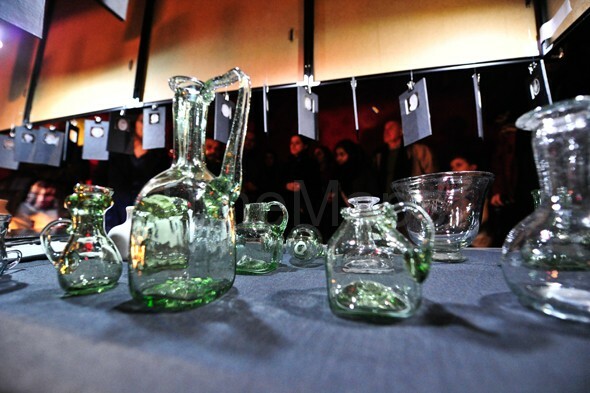 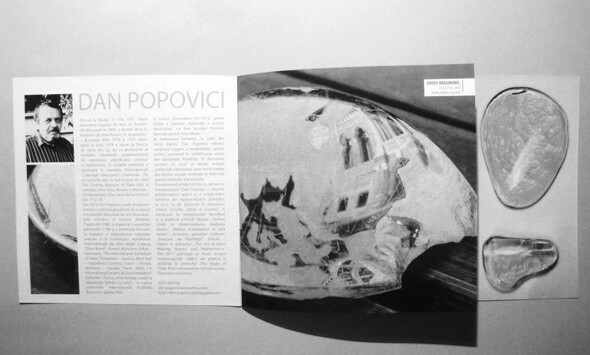 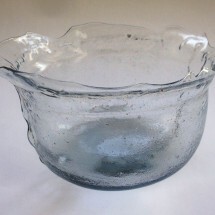 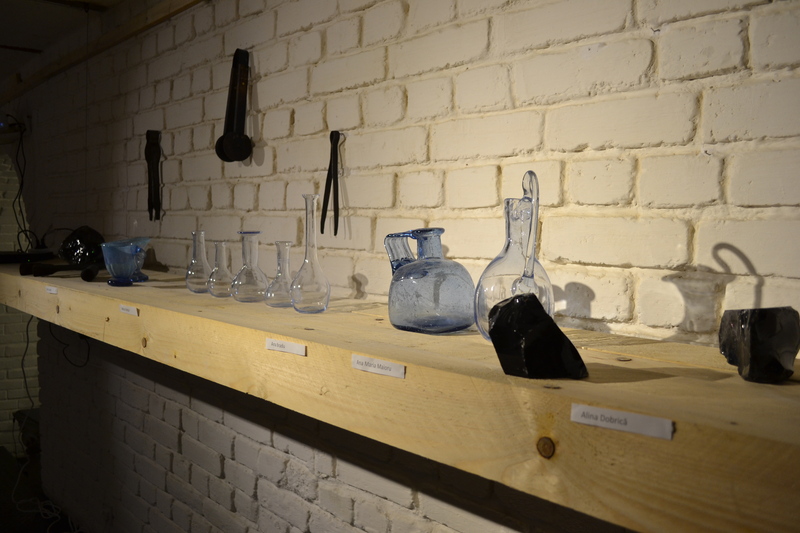 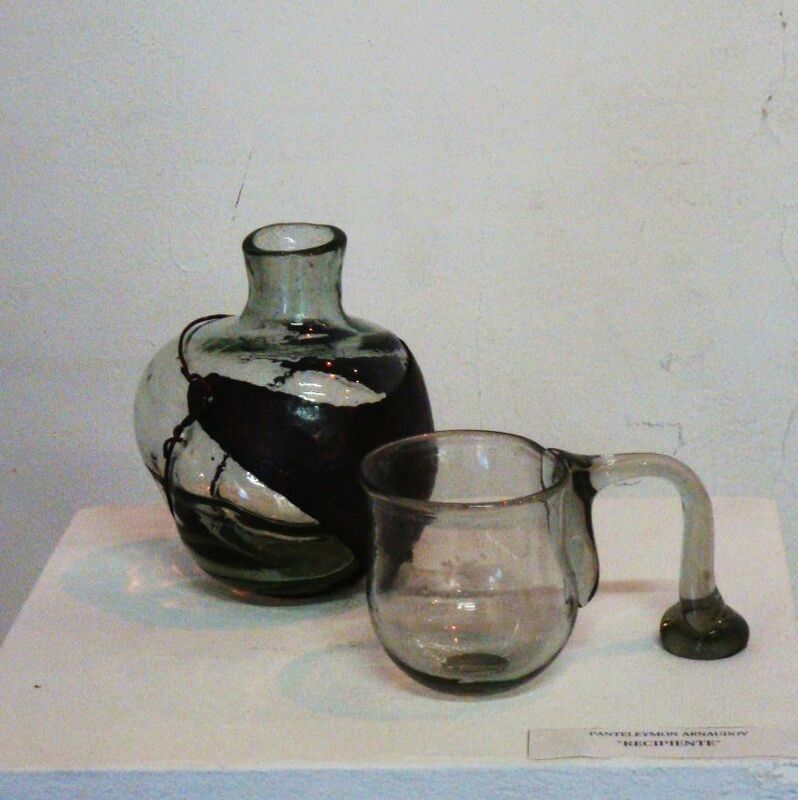 Professor Popovici also presented his 2015 work at the Annual Glass Exhibition in Bucharest. 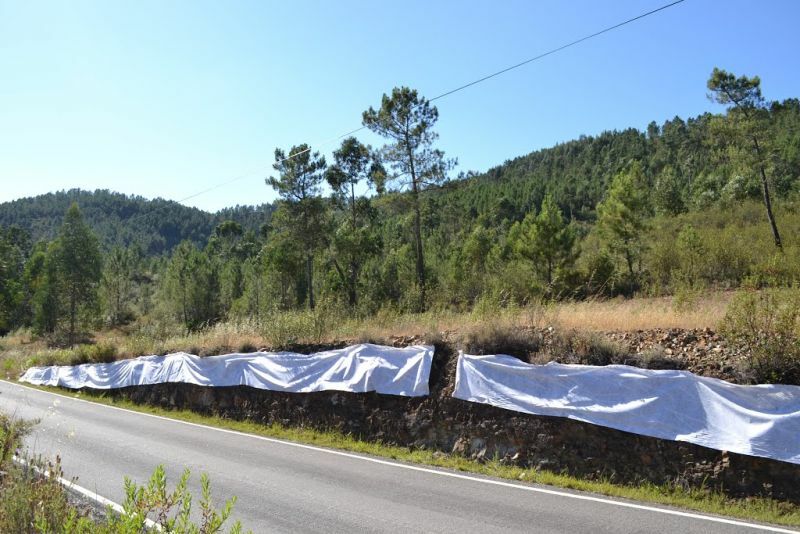 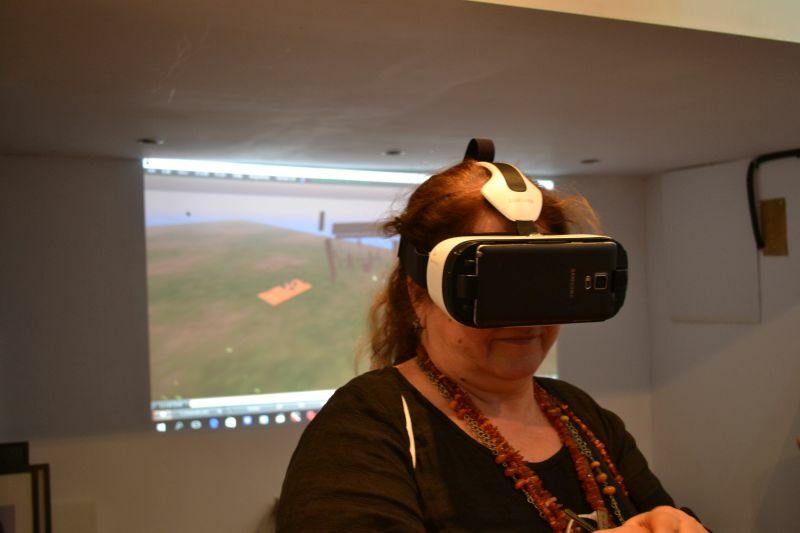 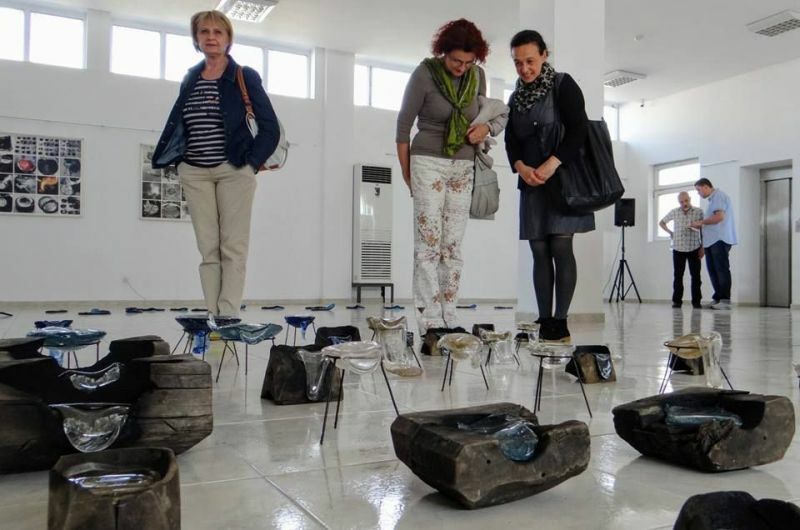 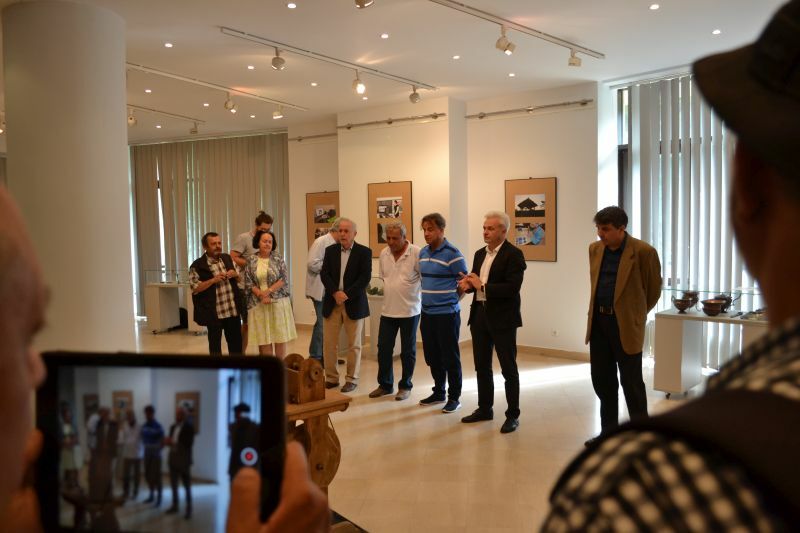 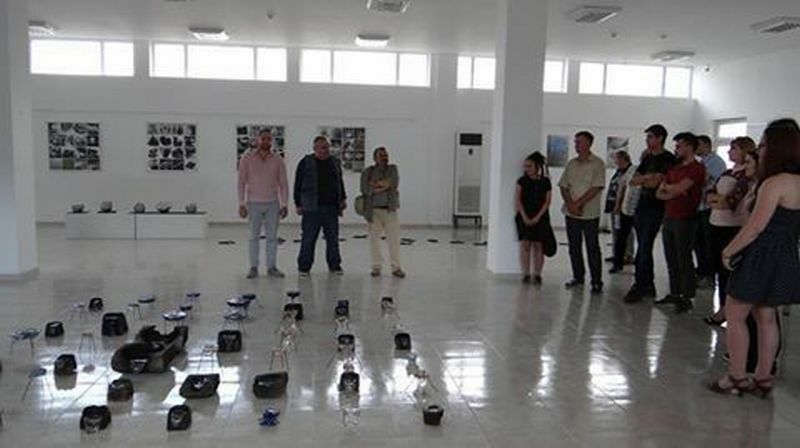 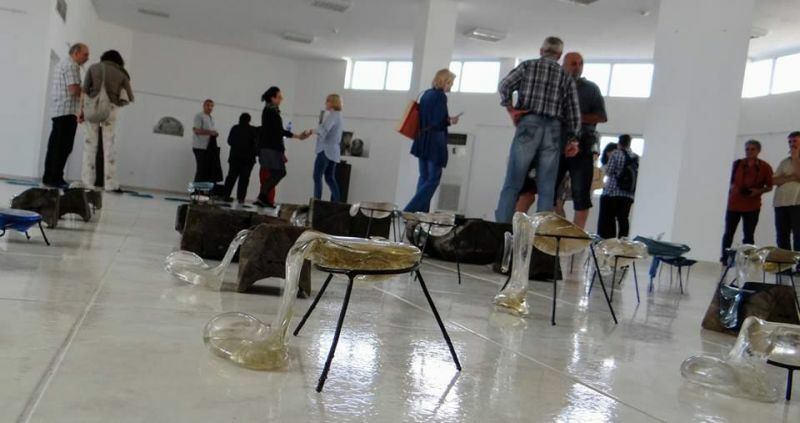 Professor Dragos Gheorghiu posted on Panoramio a land-art produced in Vadastra and two art installations from Sardinia (Teti and Birru e Concas). 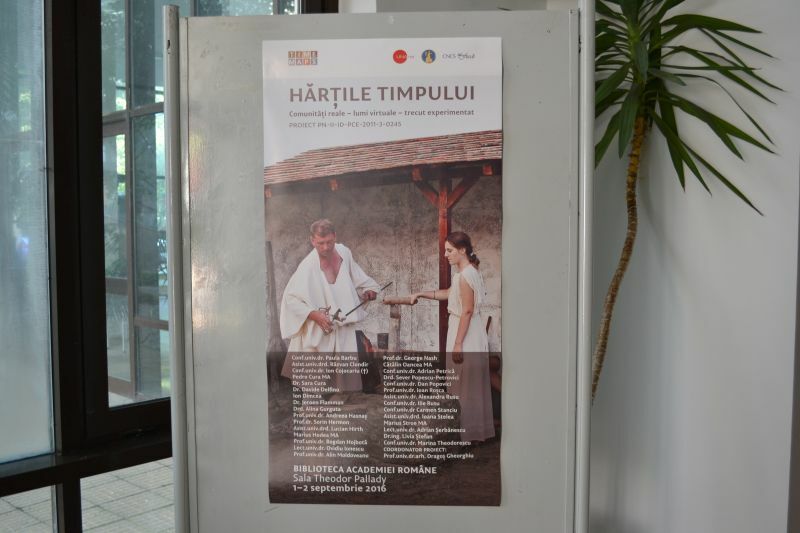 At Mangalia the re-enactments were presented as video-projections of the wall of the Callatis Museum during the period of the workshops. 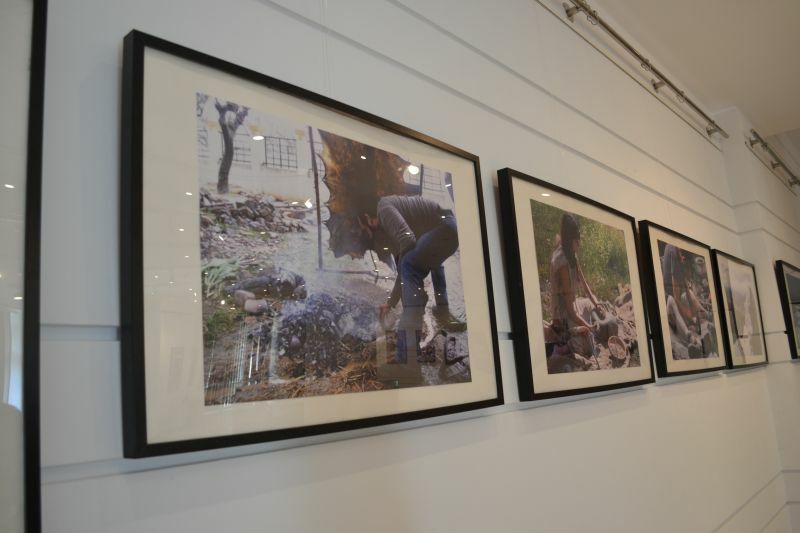 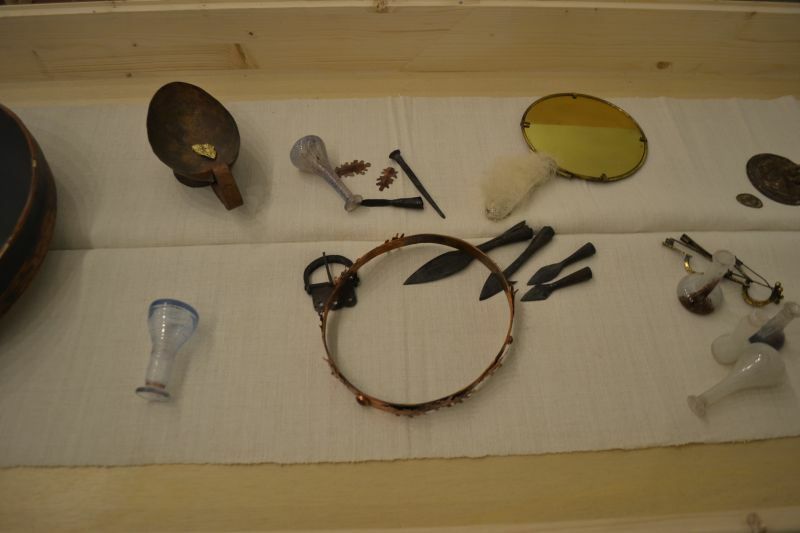 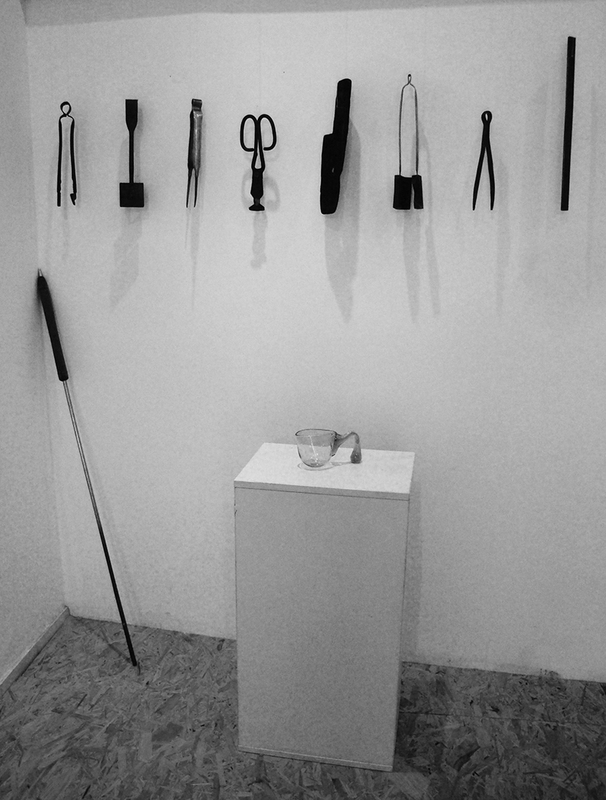 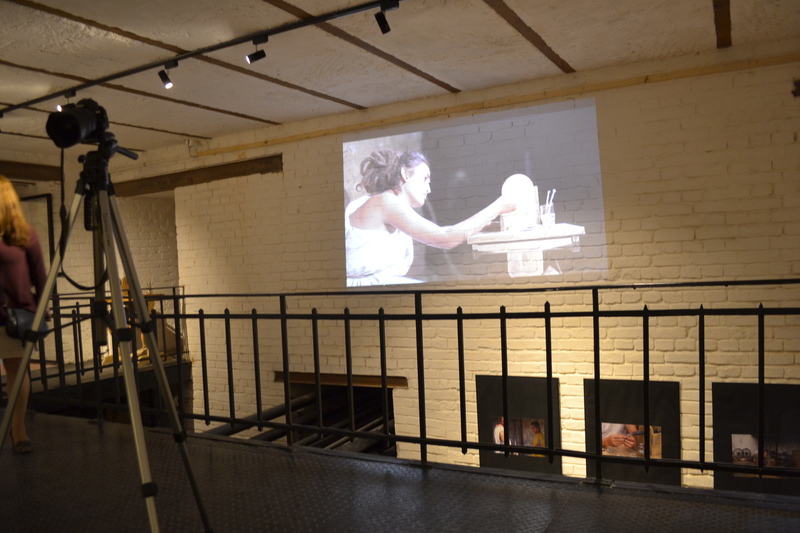 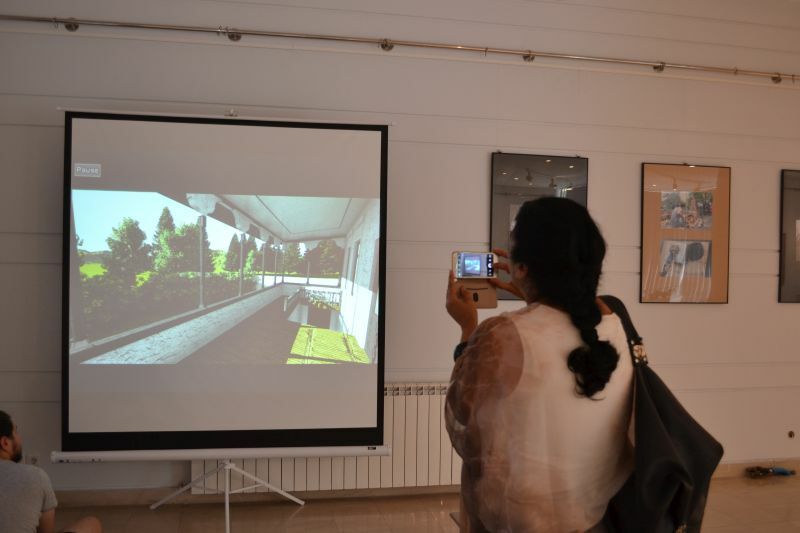 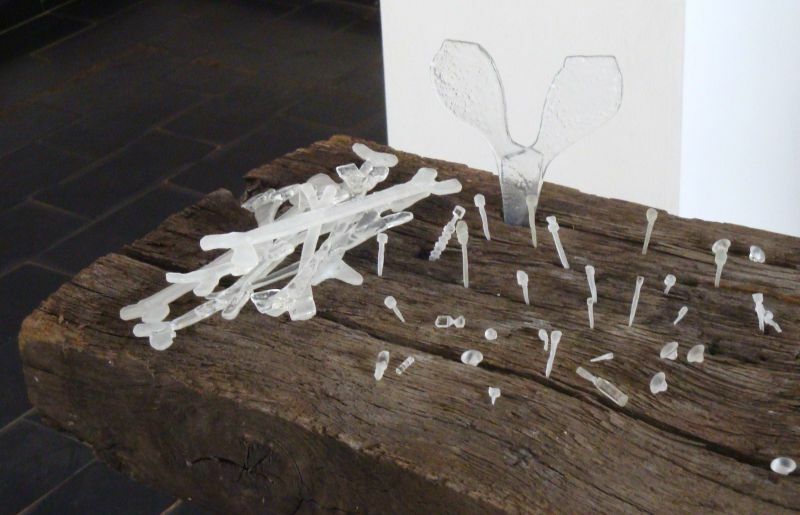 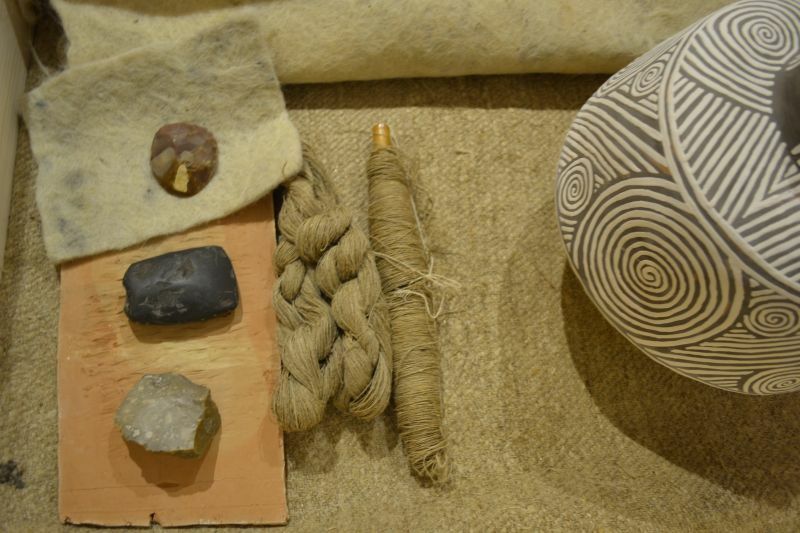 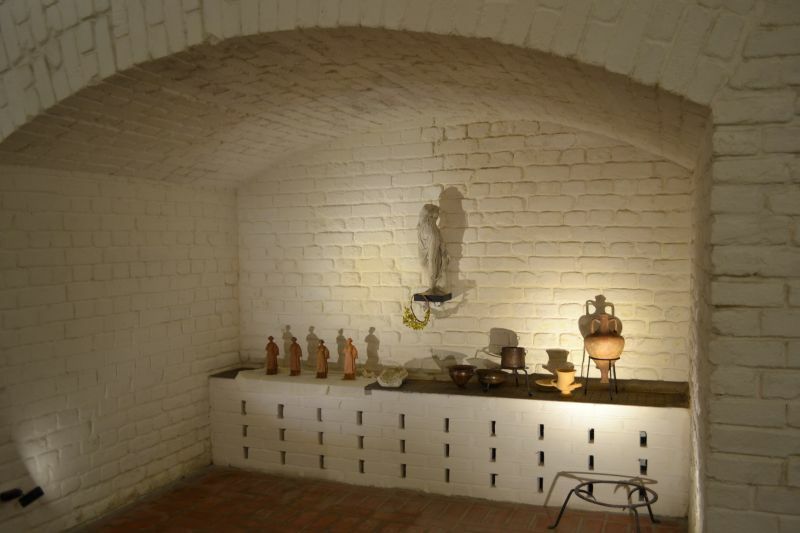 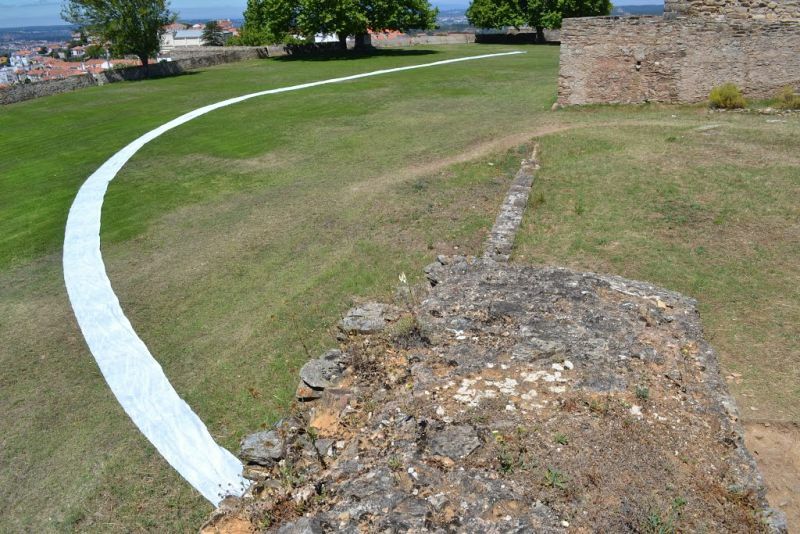 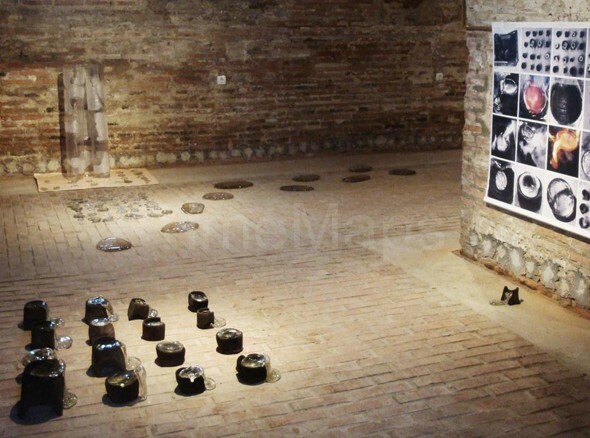 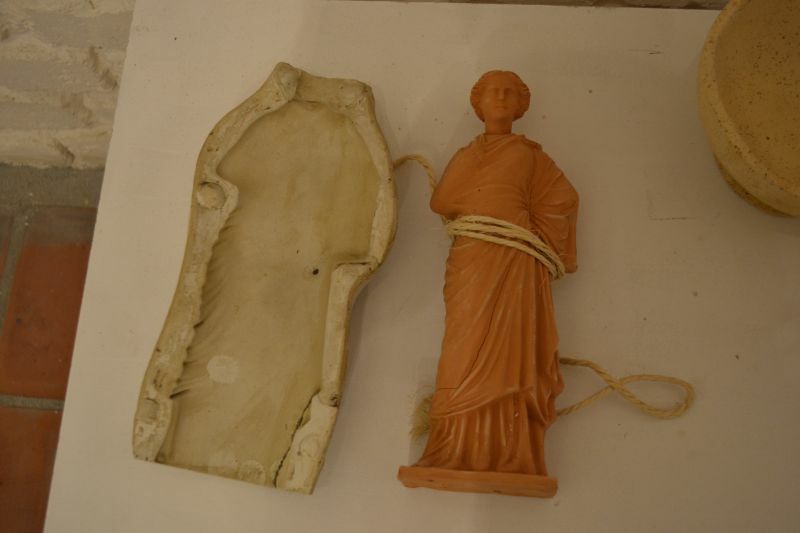 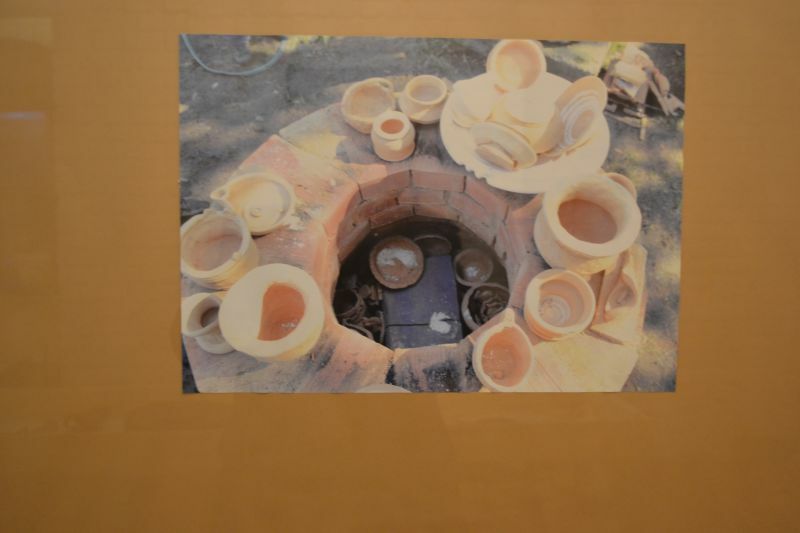 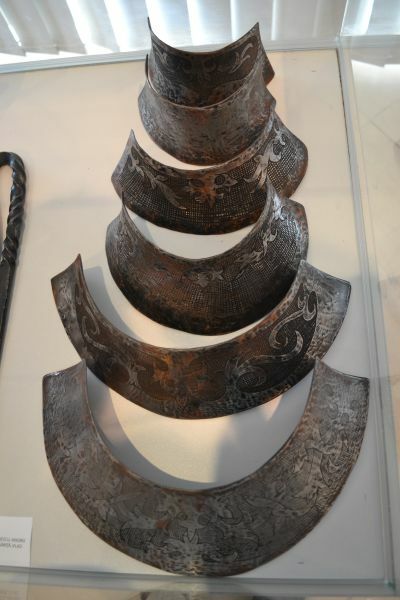 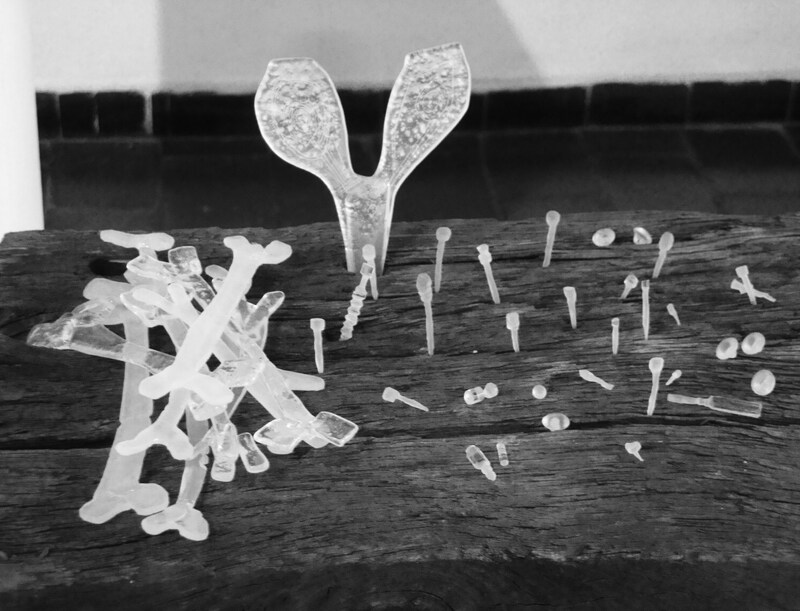 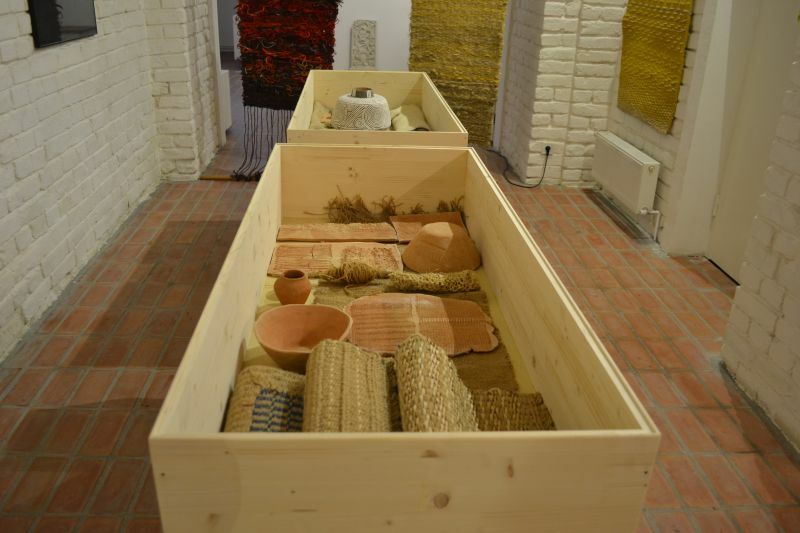 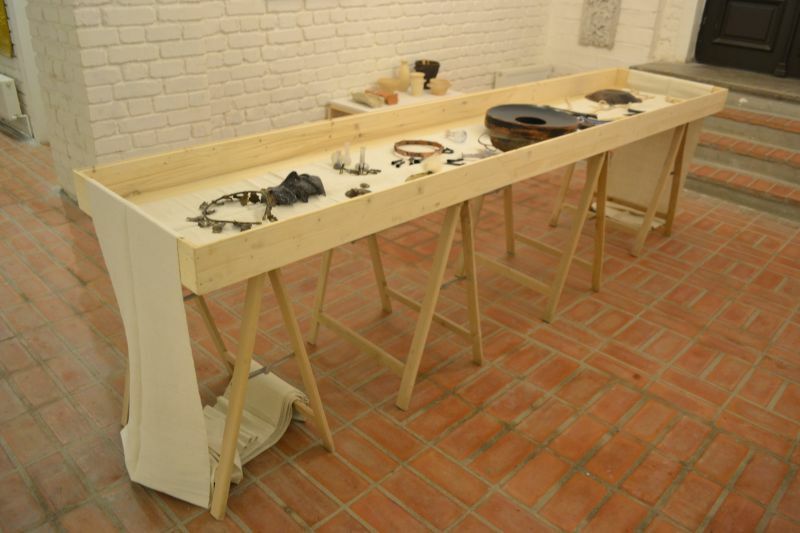 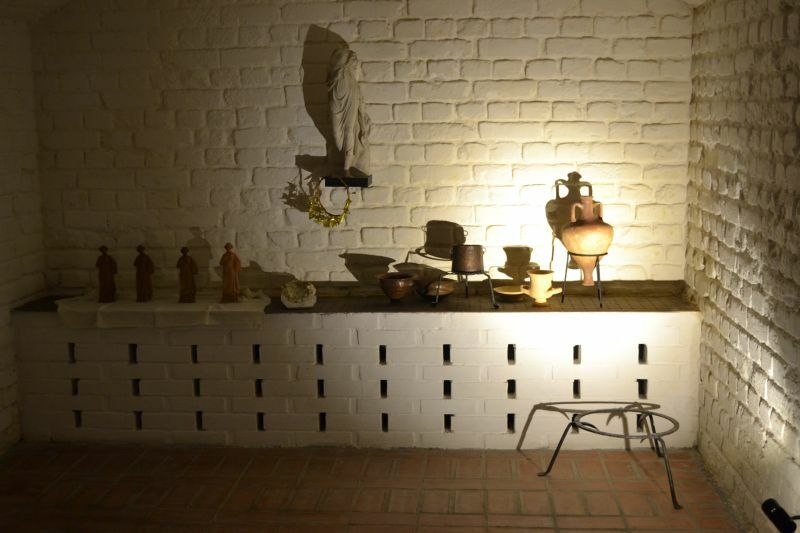 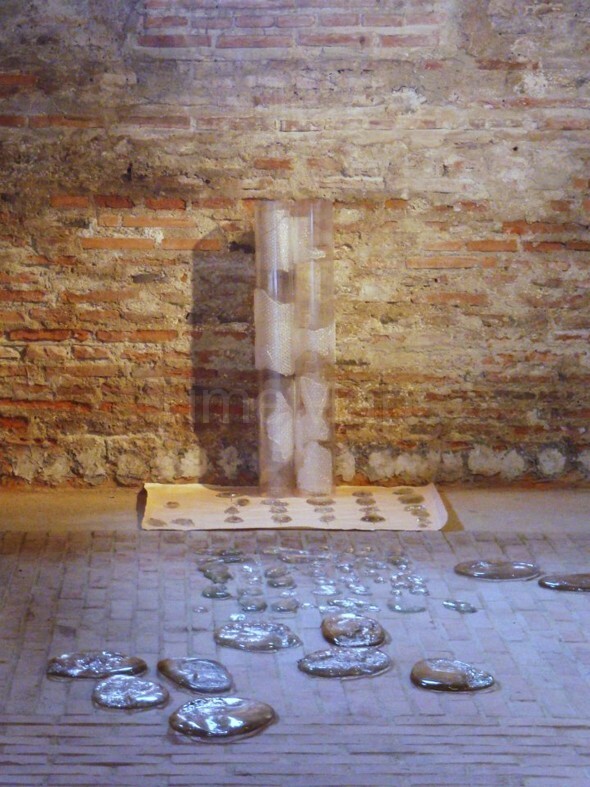 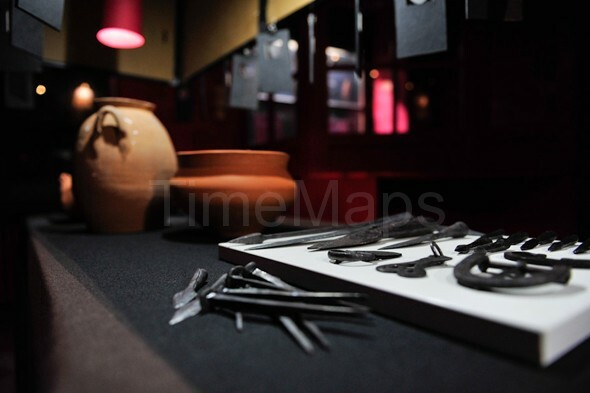 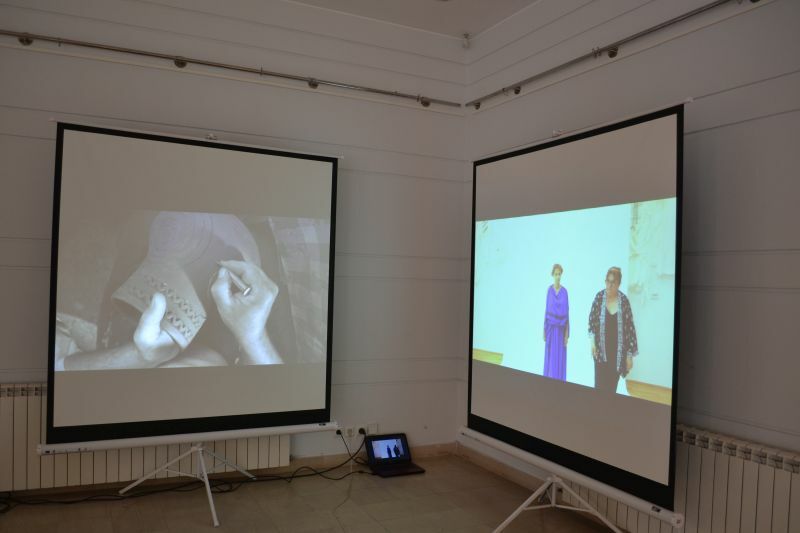 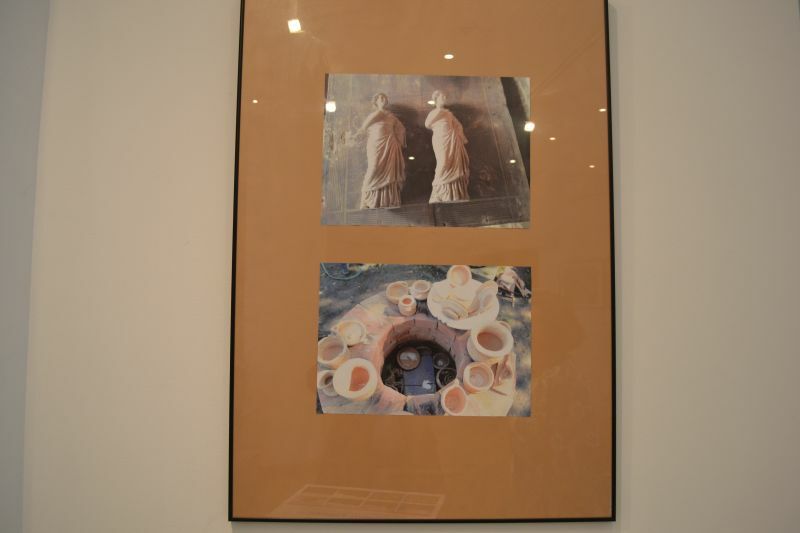 “The metaphor of an Exhibition“, an exhibition of an art installation at the Museum of Abrantes Castle, author Dragoş Gheorghiu, July 2014, Abrantes, Portugal. 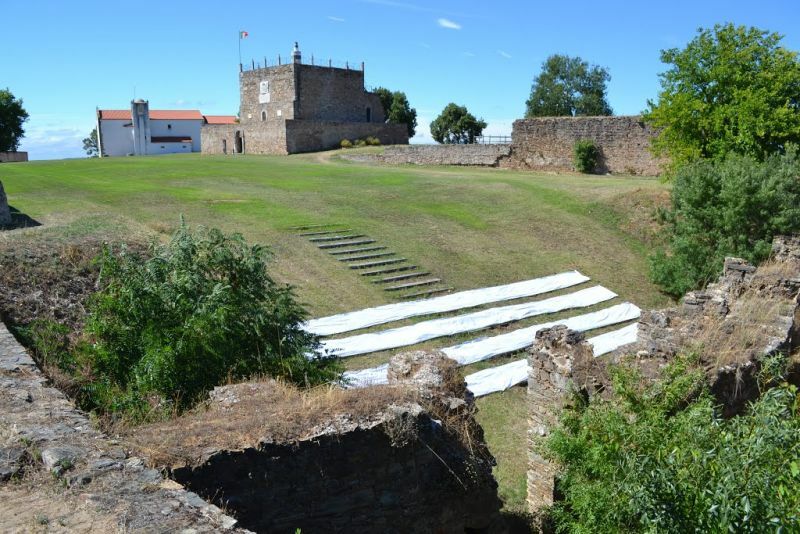 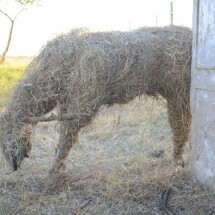 3 land-arts in Abrantes, author Dragoş Gheorghiu, July 2014, Abrantes, Portugal. 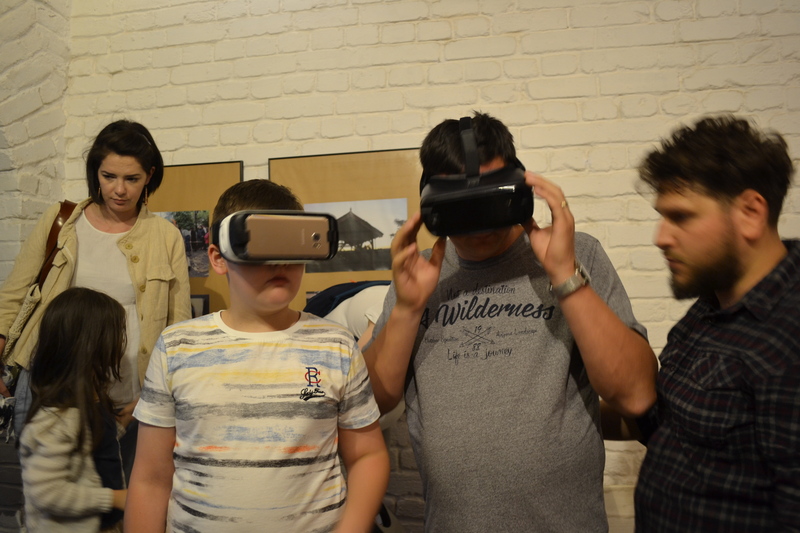 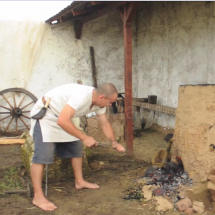 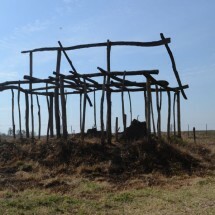 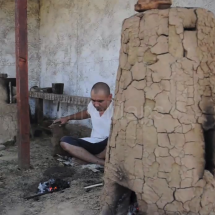 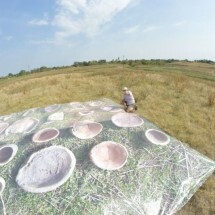 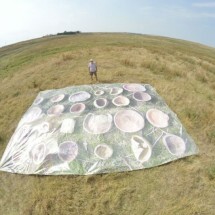 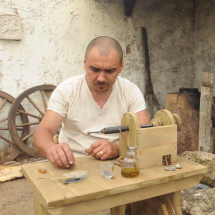 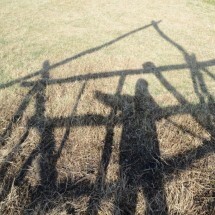 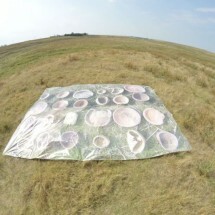 “Walking around a neolithic settlement“, video-film, GoProCamera, author Dragoş Gheorghiu, August 2014, Vădastra, Romania. 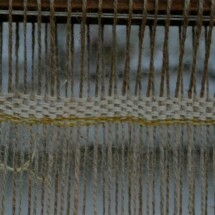 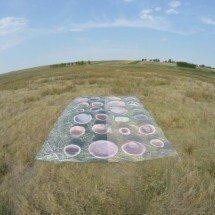 Invitation from Leonardo Electronic Almanac to participate at Samek Art Gallery (http://www.bucknell.edu/samek.xml) and Kasa Gallery (http://kasagaleri.sabanciuniv.edu/) in connection with Leonardo Almanac 19 (1) Tematic Issue “Not Here, Not There”. 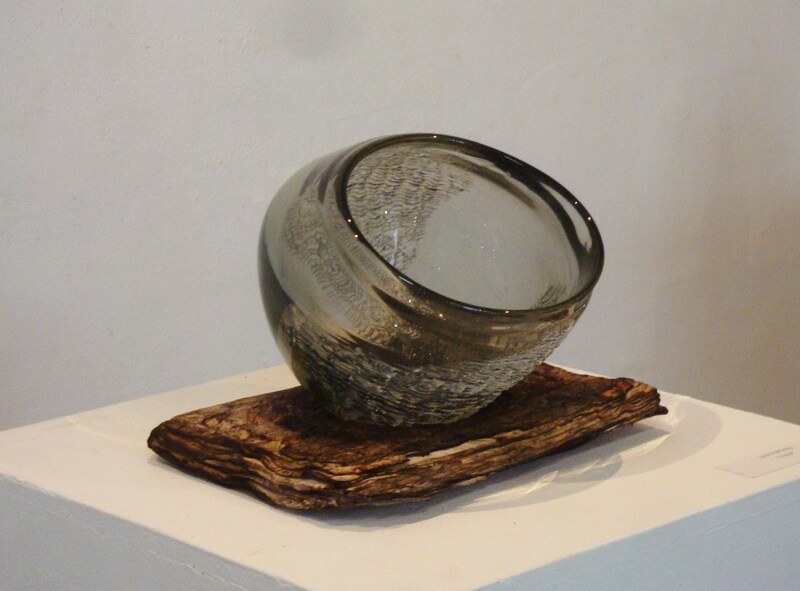 Exhibition within Glass Exhibition 2014 (Salonul Sticlei 2014), Simeza Galery, 14-25 May 2014. 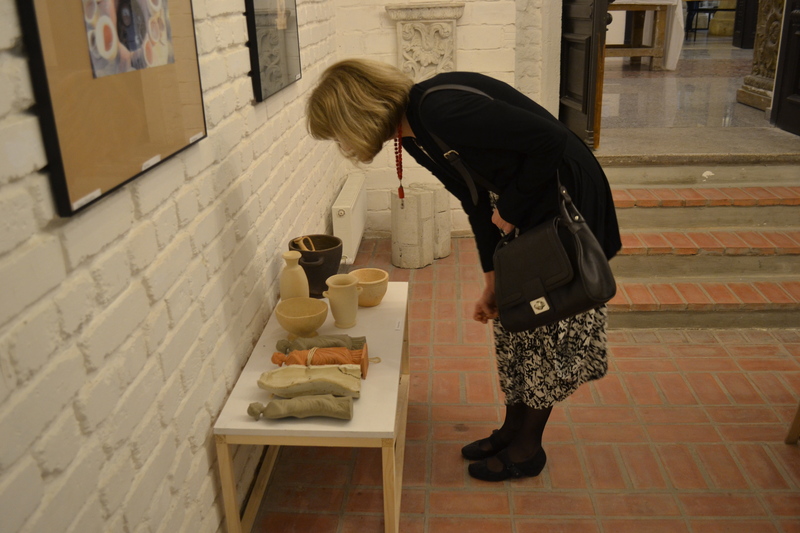 Also Ioana Stelea has exposed. 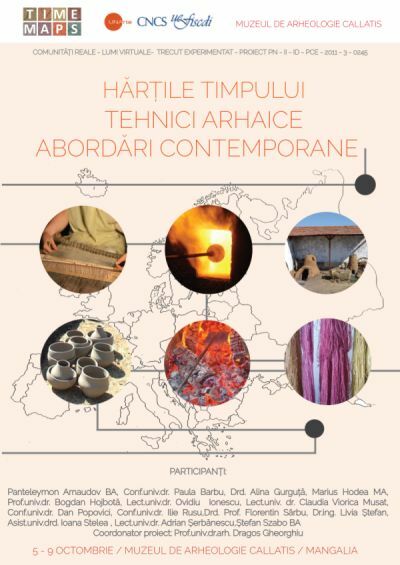 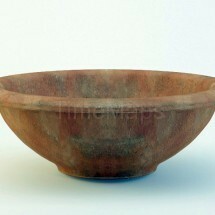 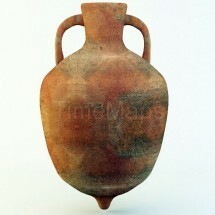 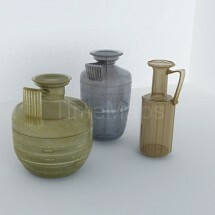 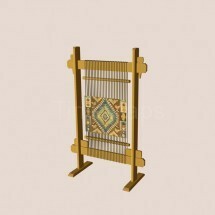 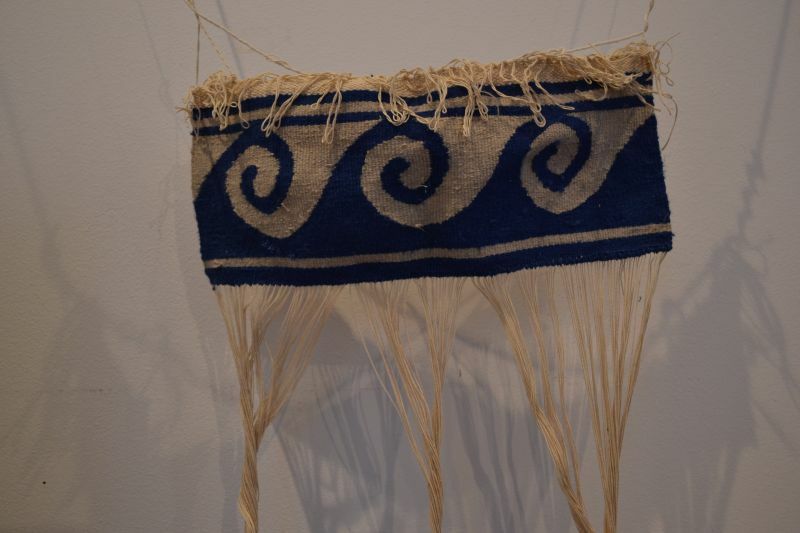 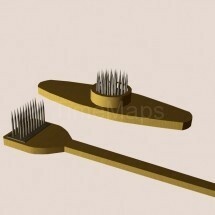 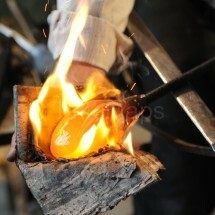 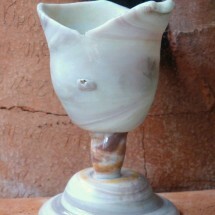 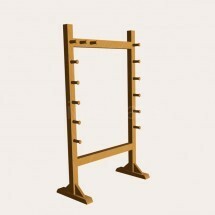 Decorative Art 2012, Biennial of decorative arts, first Edition. 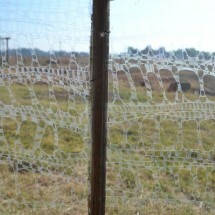 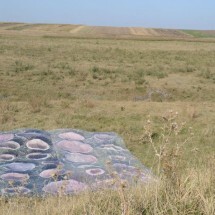 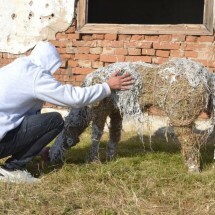 An art installation, 2-3 August 2014, Vadastra, Romania. 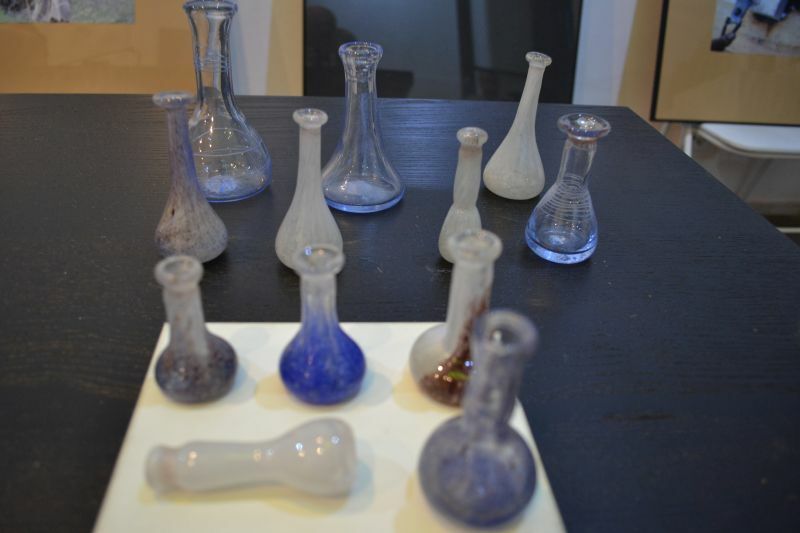 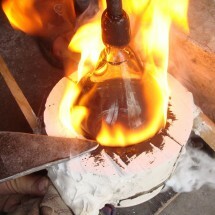 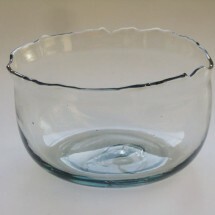 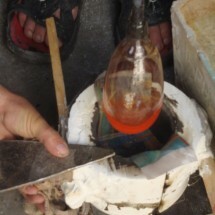 “Reconstructions”, license work “Reconstruction of ancient techniques in art glass”, coordinated by Dan Popovici and Ionel Cojocariu, July 1-11, 2014, Galeria 15 Design – Hanul cu Tei. 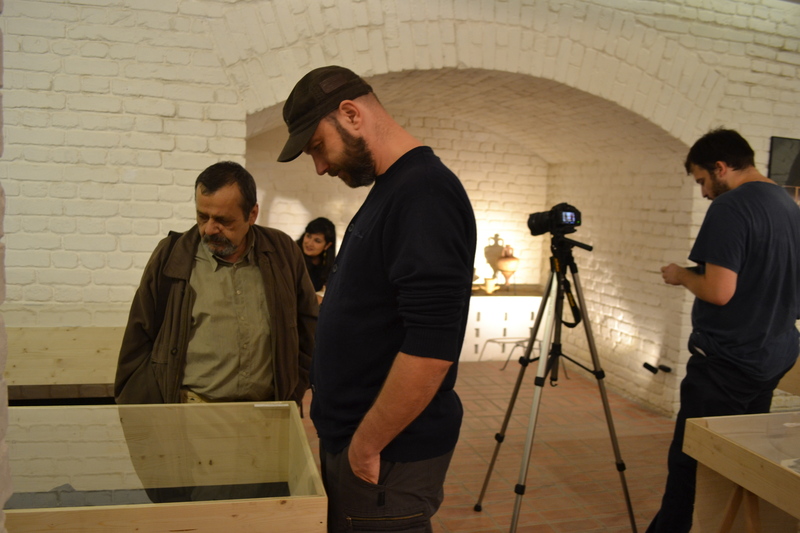 Curators Dan Popovici and Ionel Cojocariu, with Ioana Stelea. 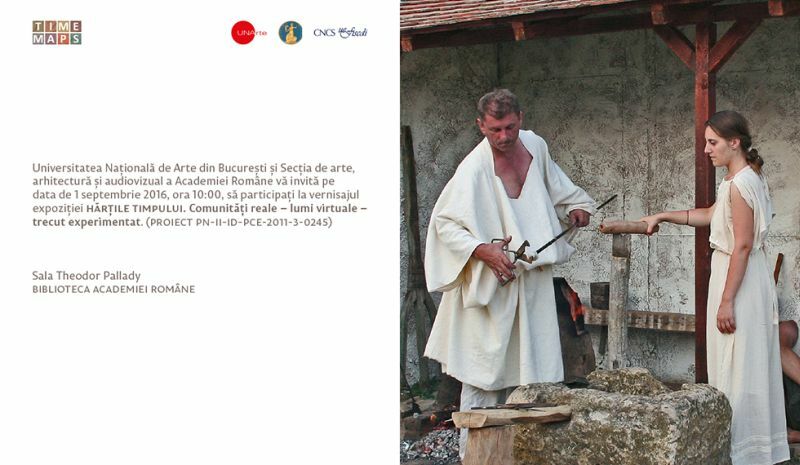 Introductory presentations by Prof. Cristian Robert Velescu and Dan Popovici. 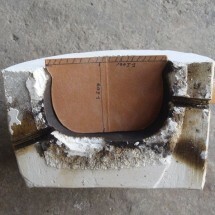 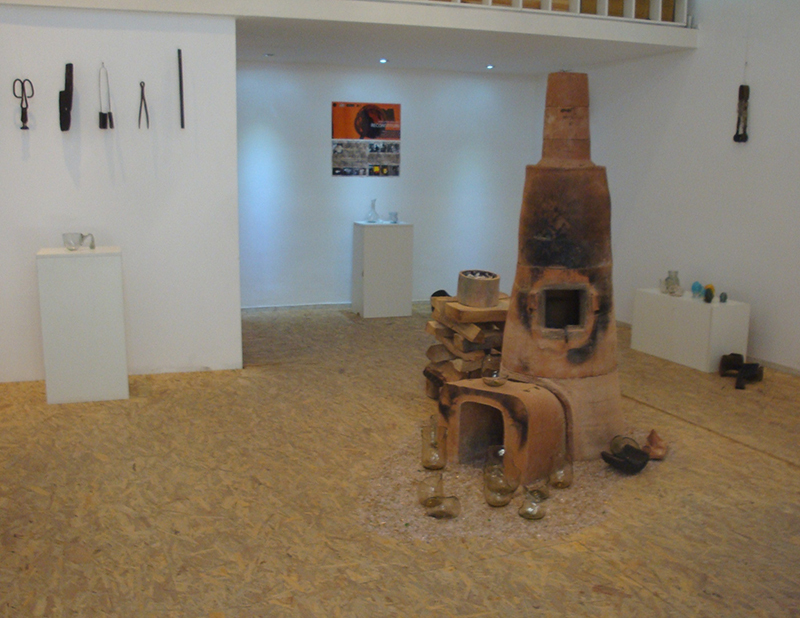 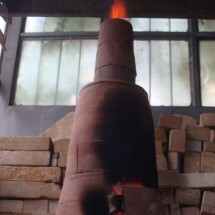 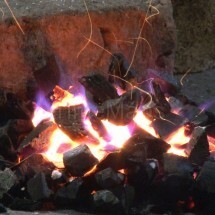 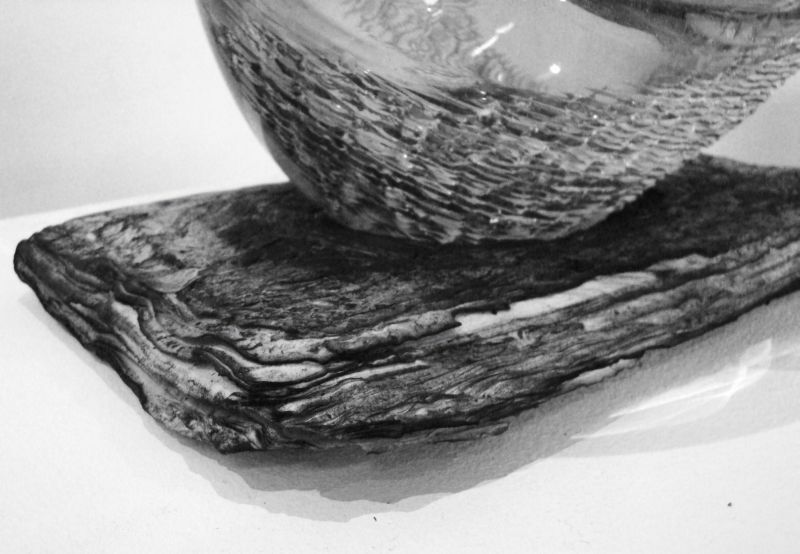 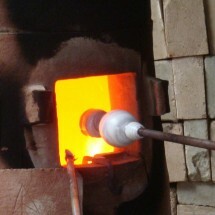 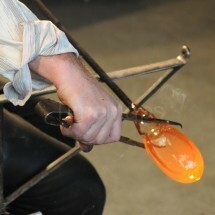 D. Popovici, Facebook Photo album : “Furnace, Wood-fire & Glass“ , 2014. 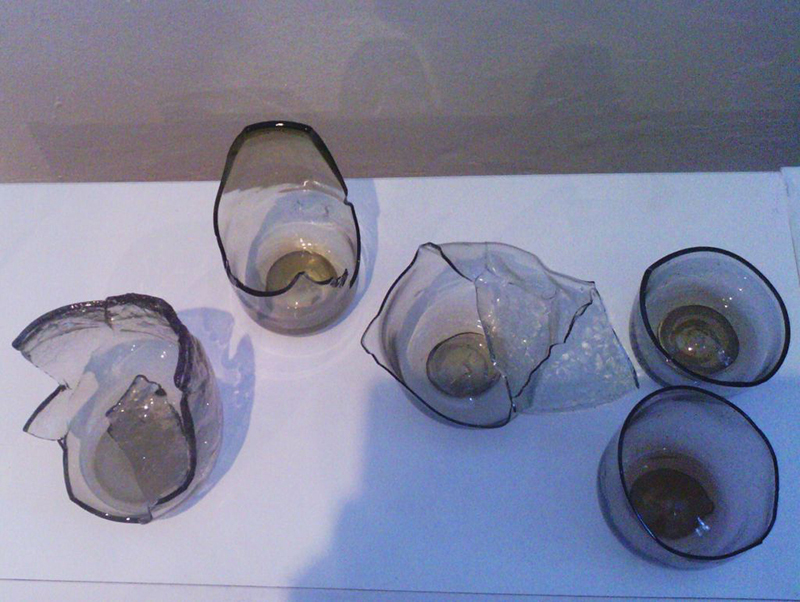 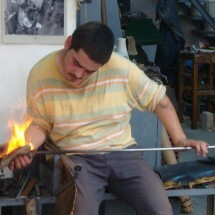 D. Popovici, Facebook Photo album: “Flames, shadows & glass, Vădastra“. 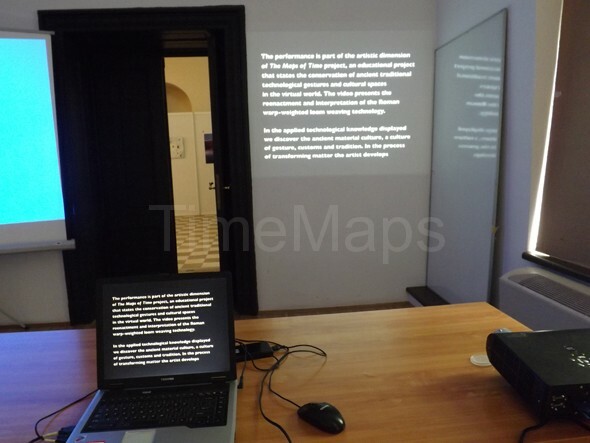 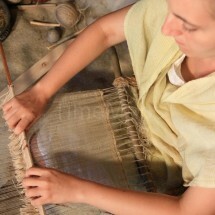 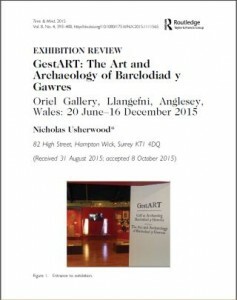 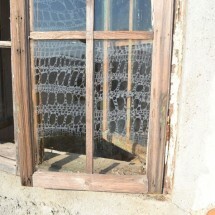 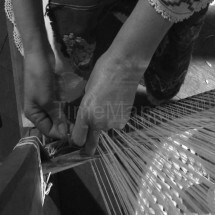 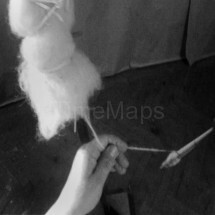 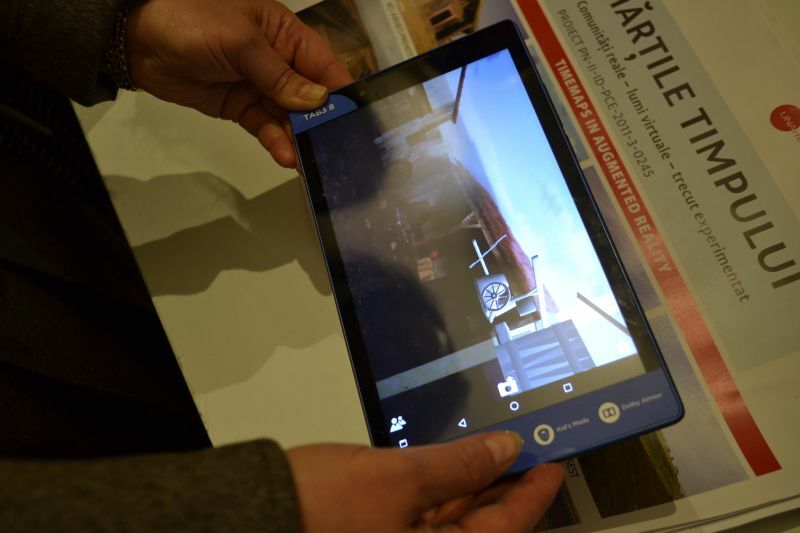 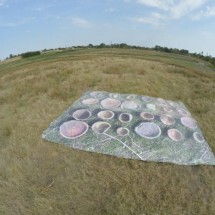 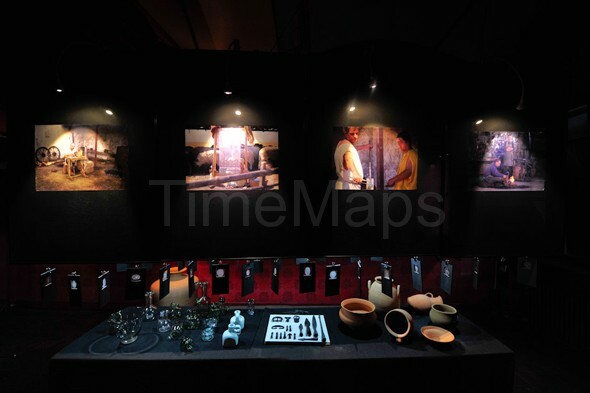 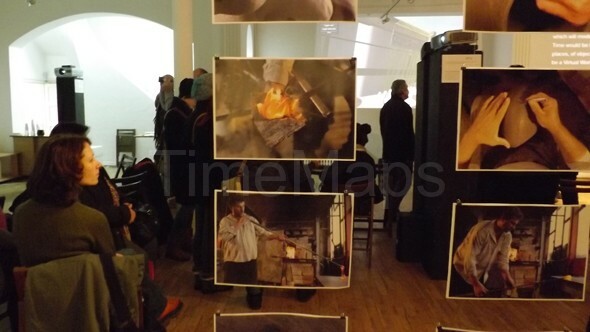 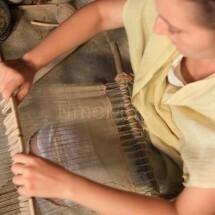 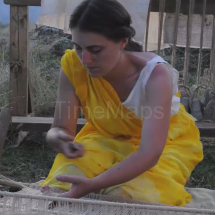 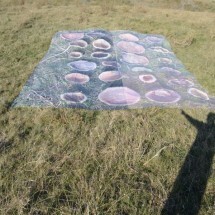 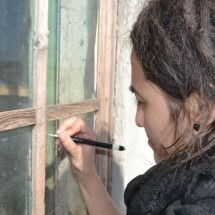 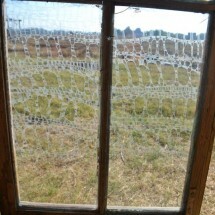 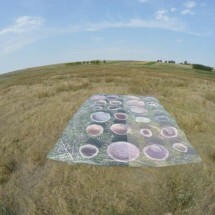 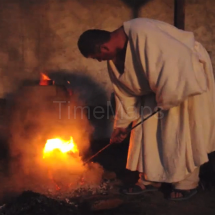 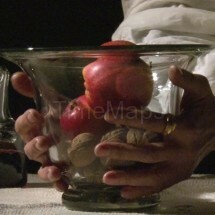 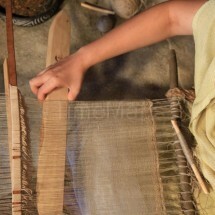 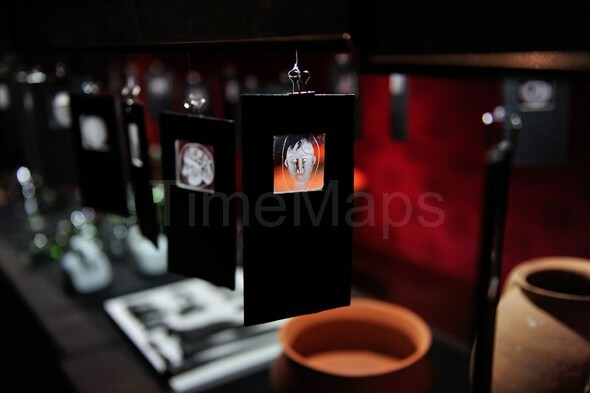 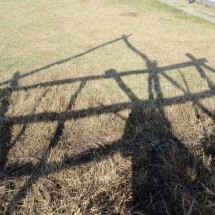 Photo-notices about the experiments in the project“ The Maps of Time. 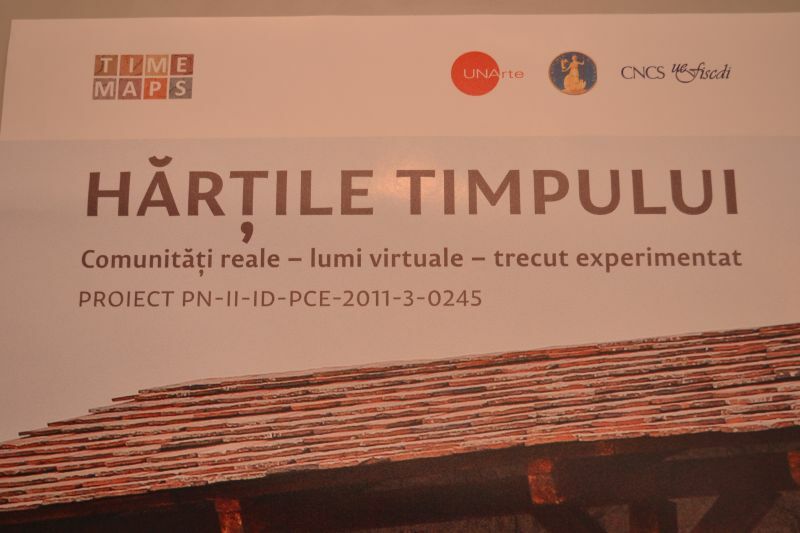 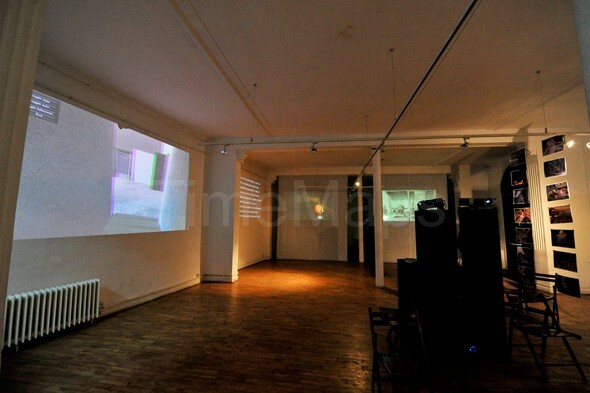 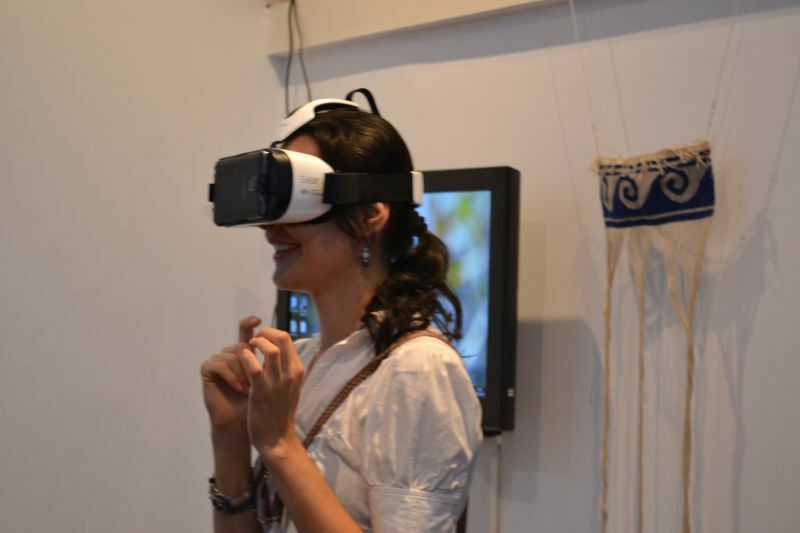 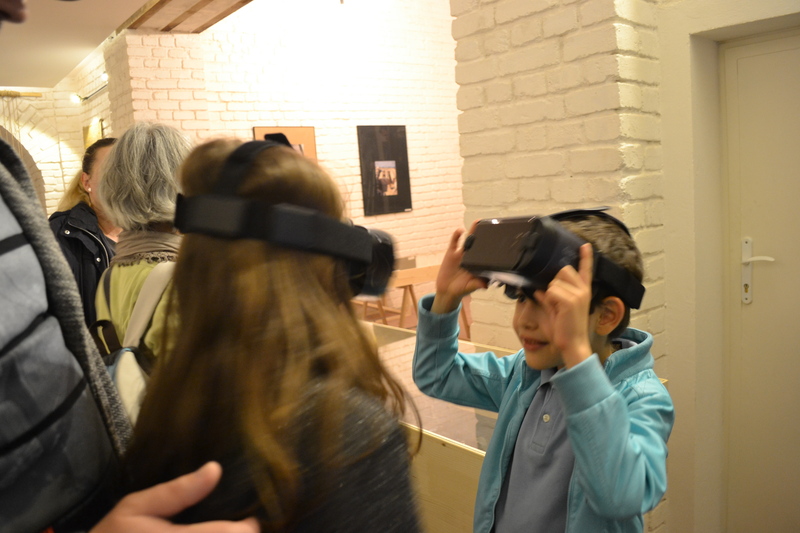 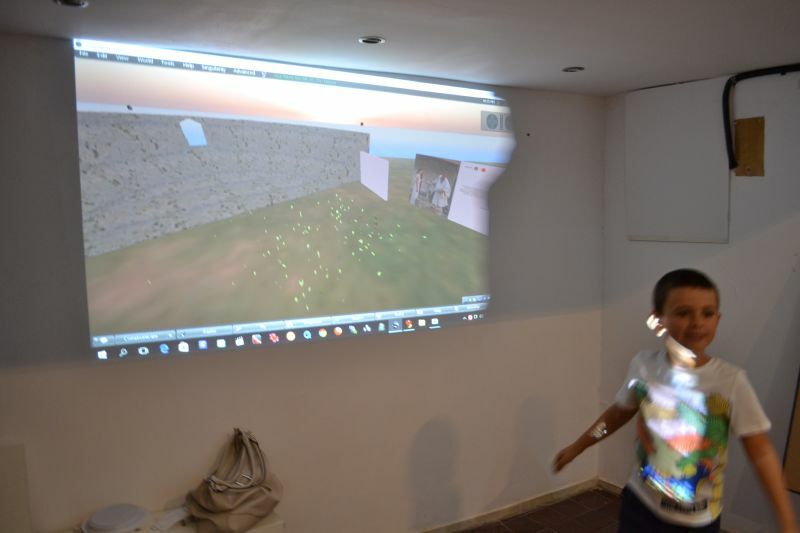 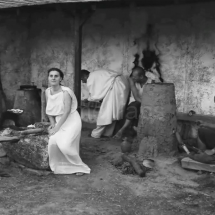 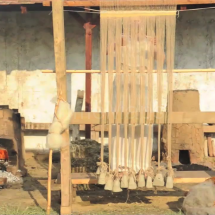 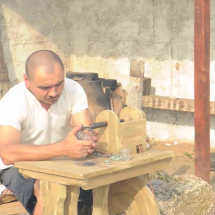 Real communities-Virtual worlds-Experimented Pasts”, 2013. 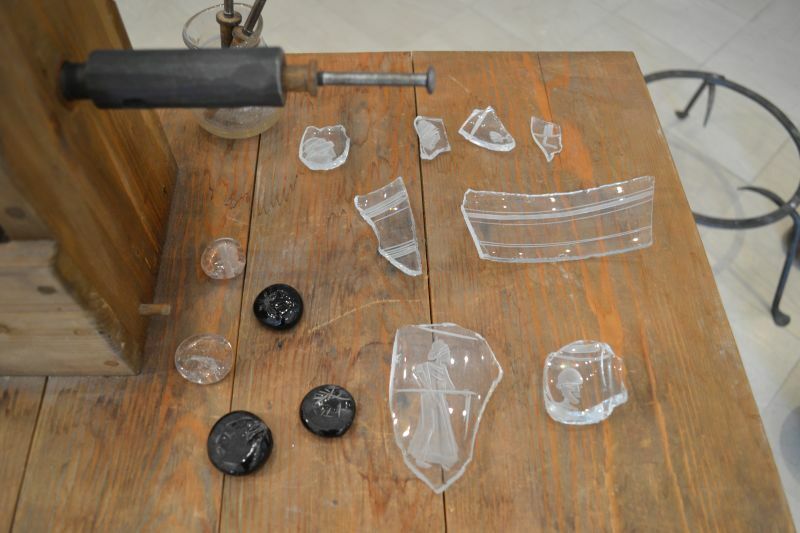 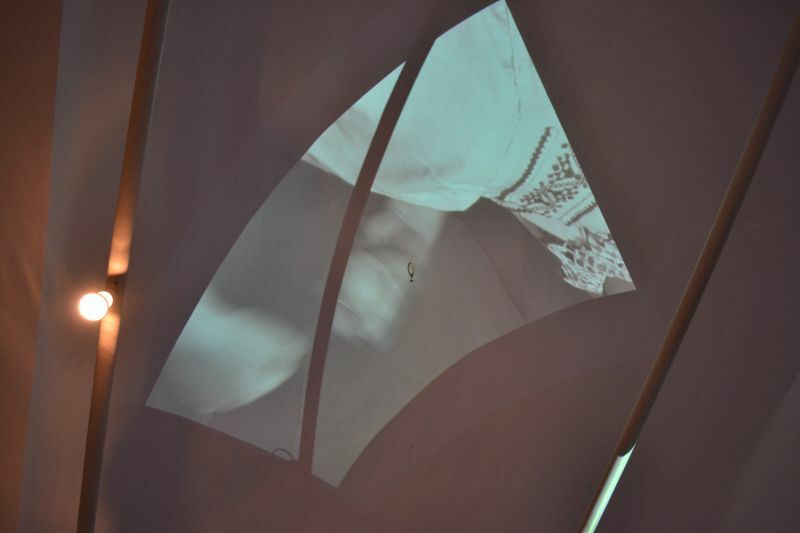 D. Popovici, Facebook Photo album: “Crafting Transparence, installation step by step” – Artistical research in the project“ The Maps of Time. 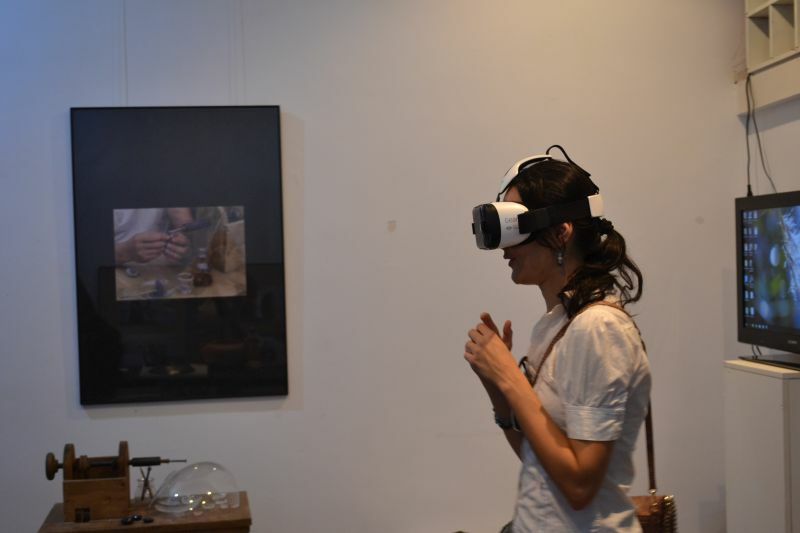 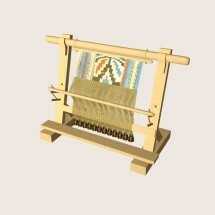 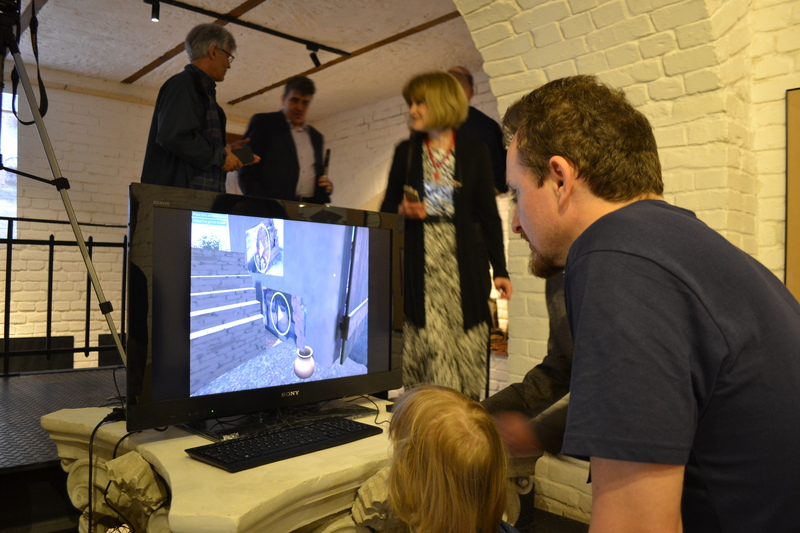 Real communities-Virtual worlds-Experimented Pasts”, 2013.